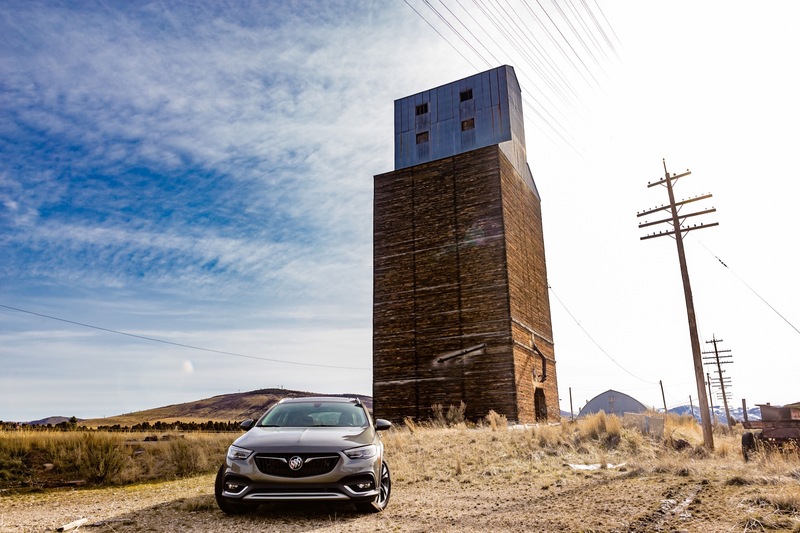 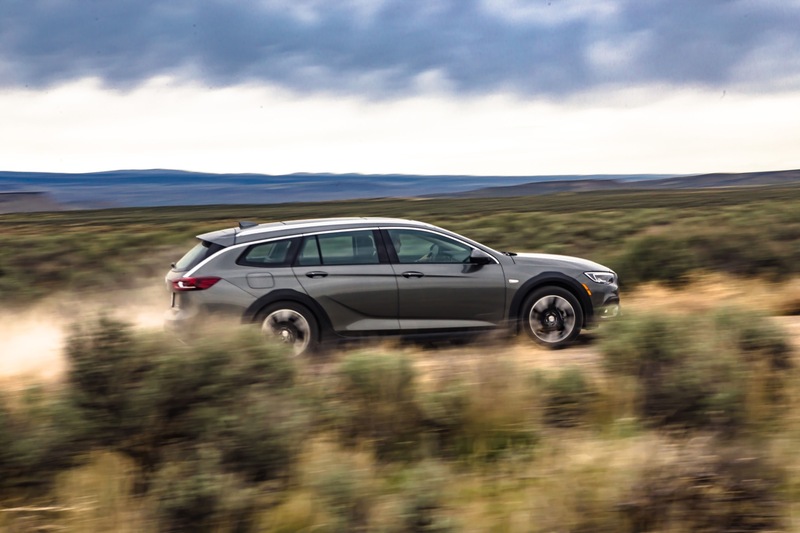 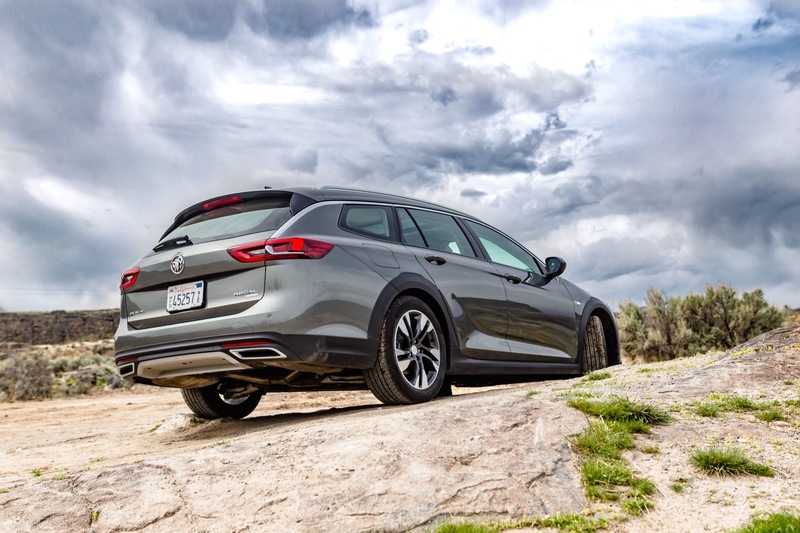 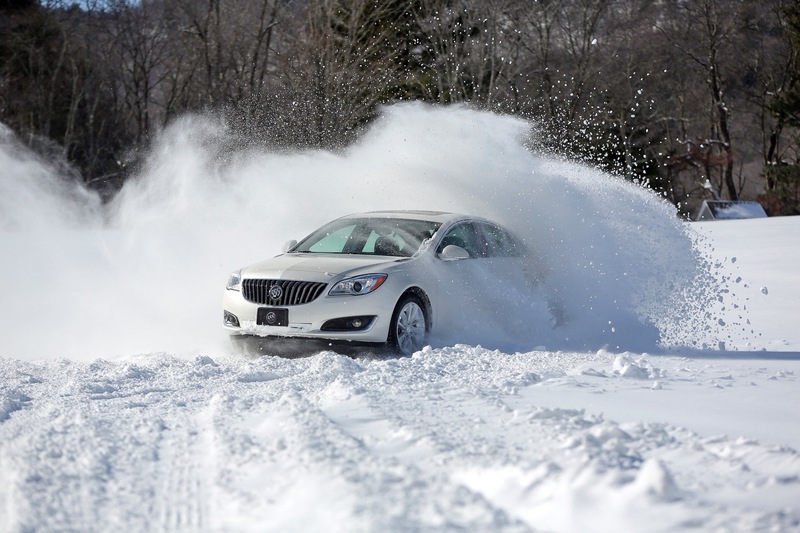 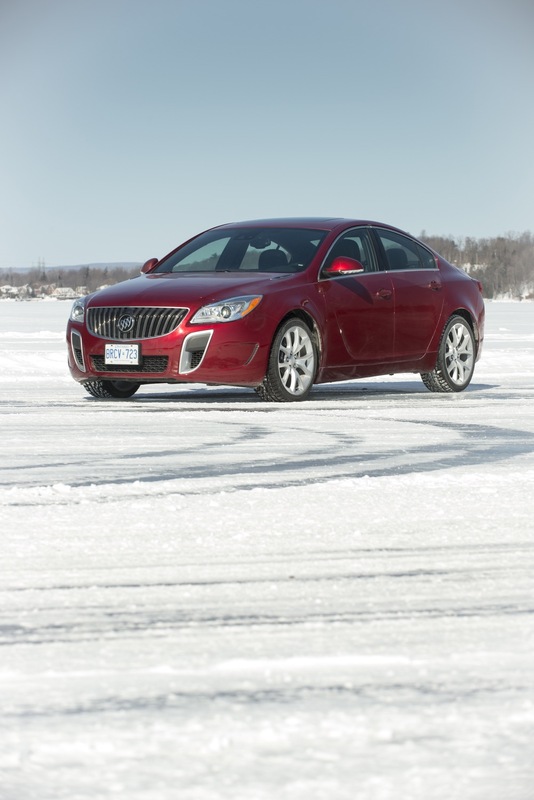 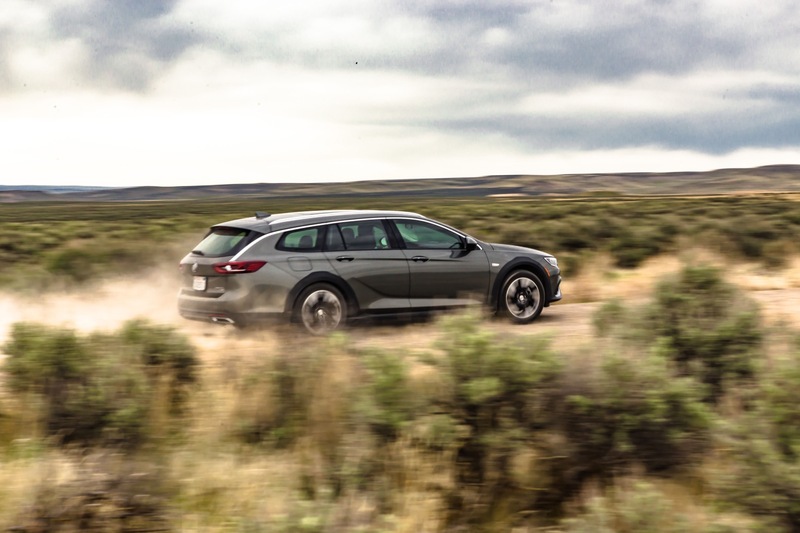 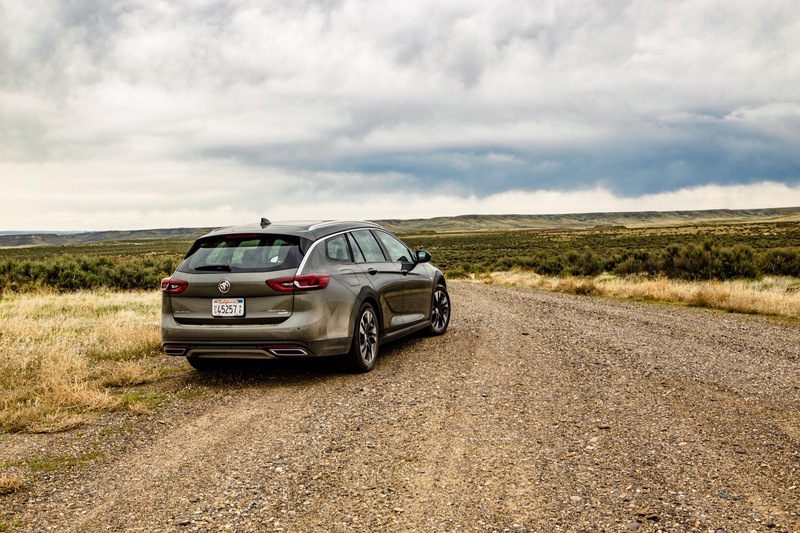 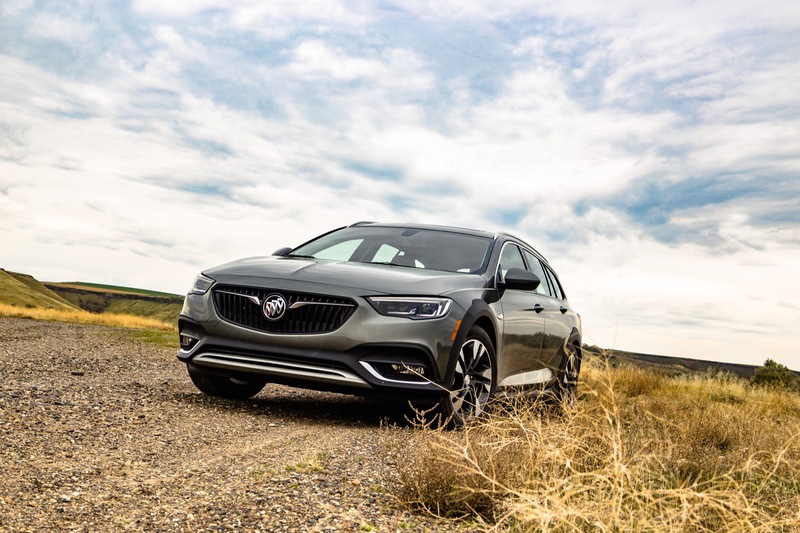 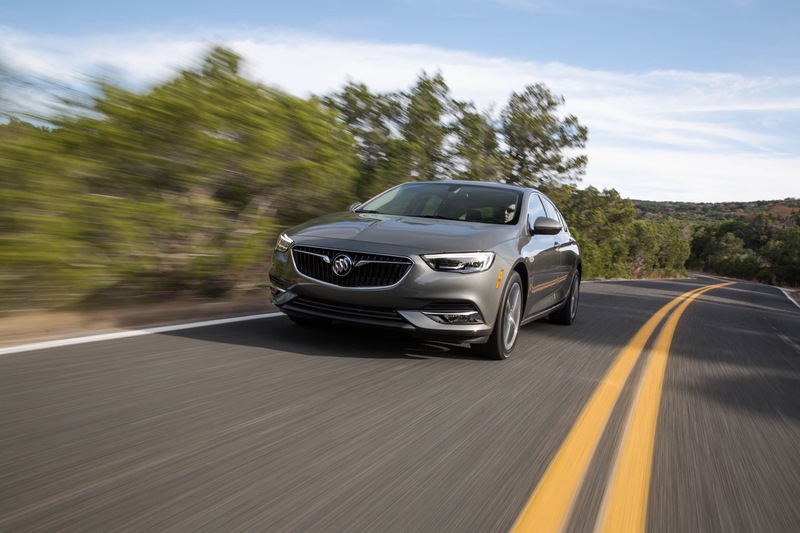 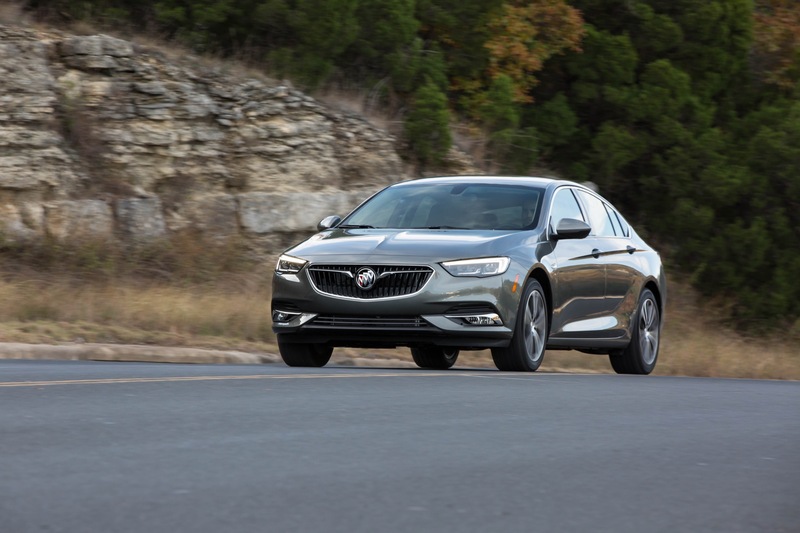 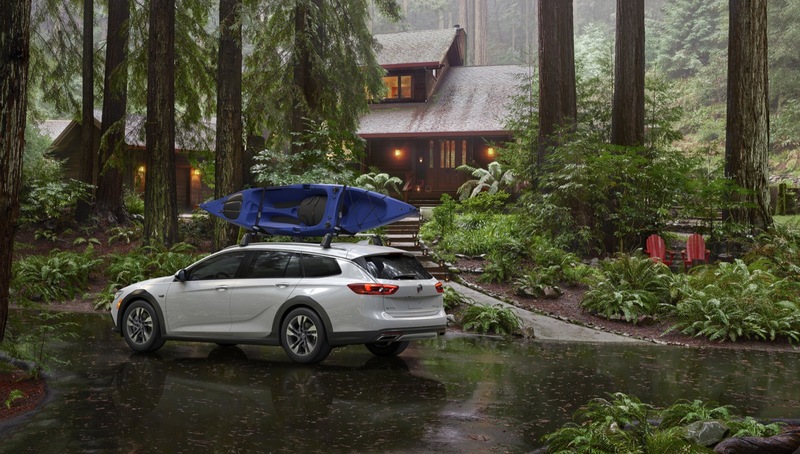 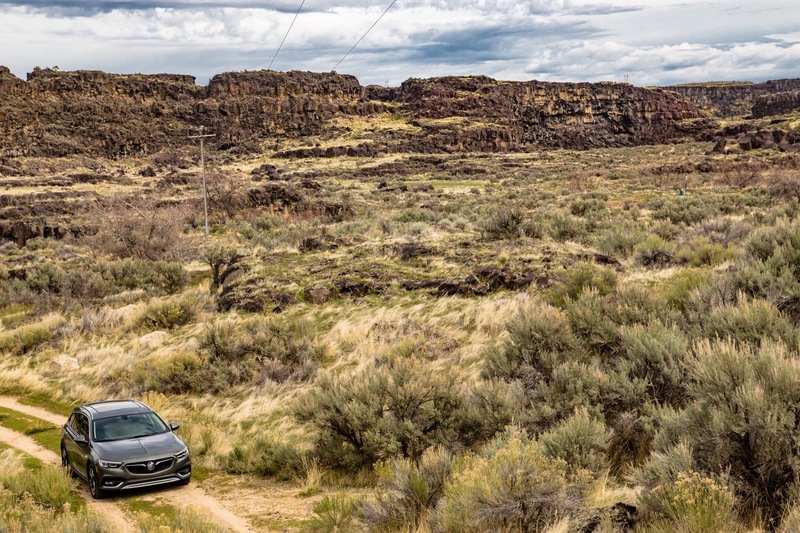 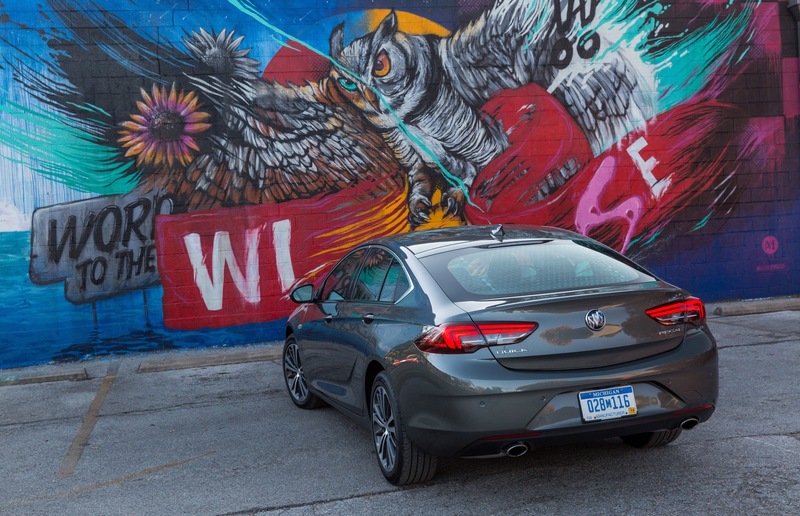 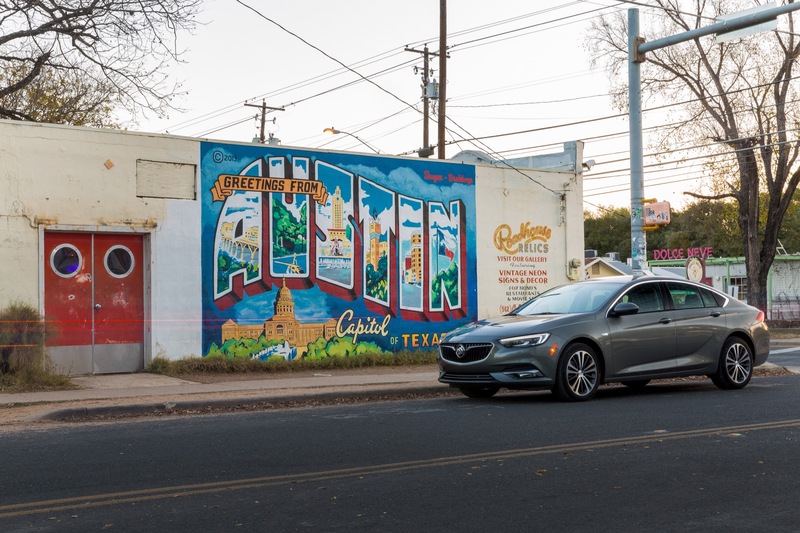 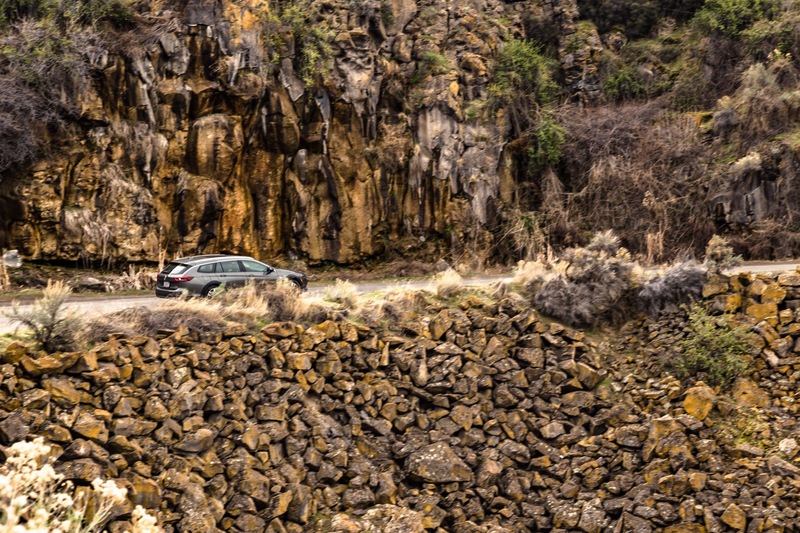 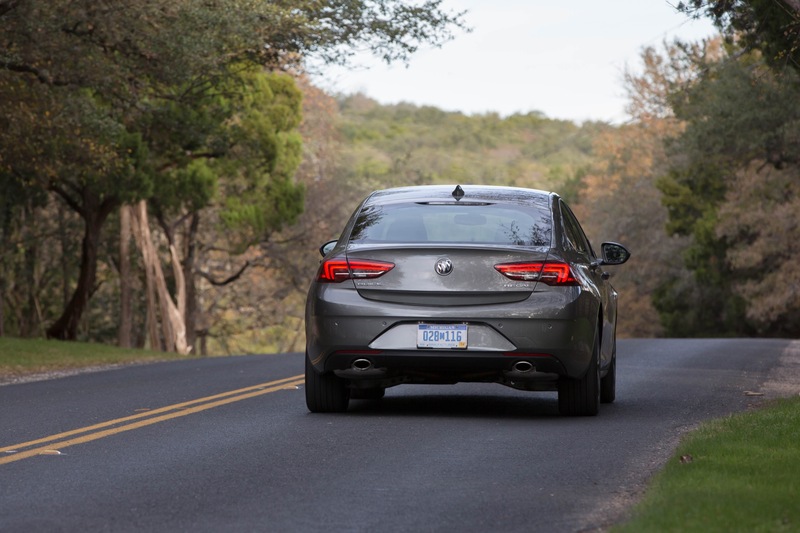 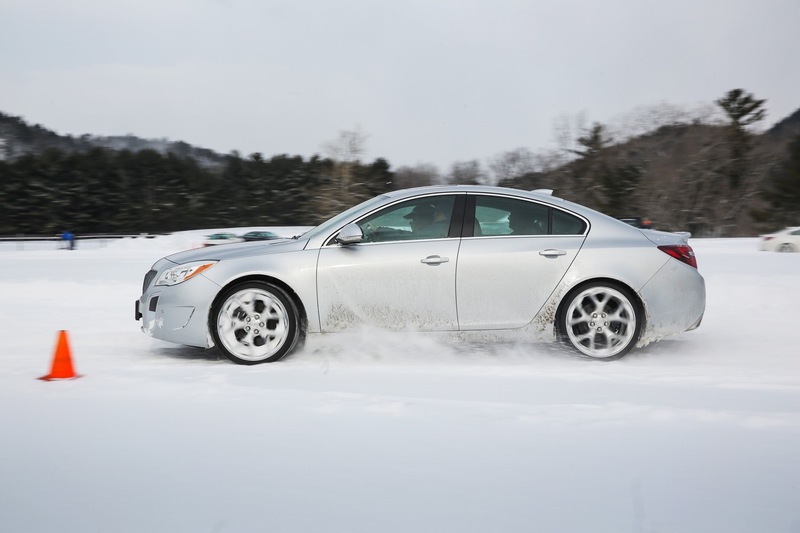 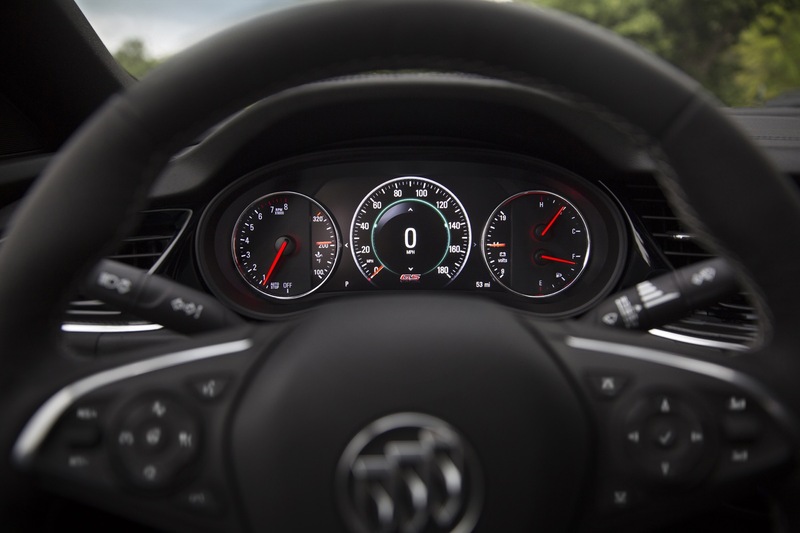 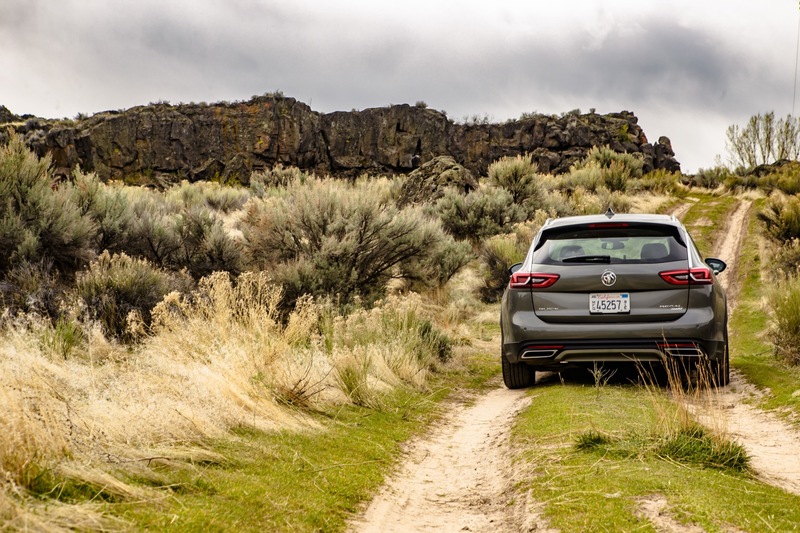 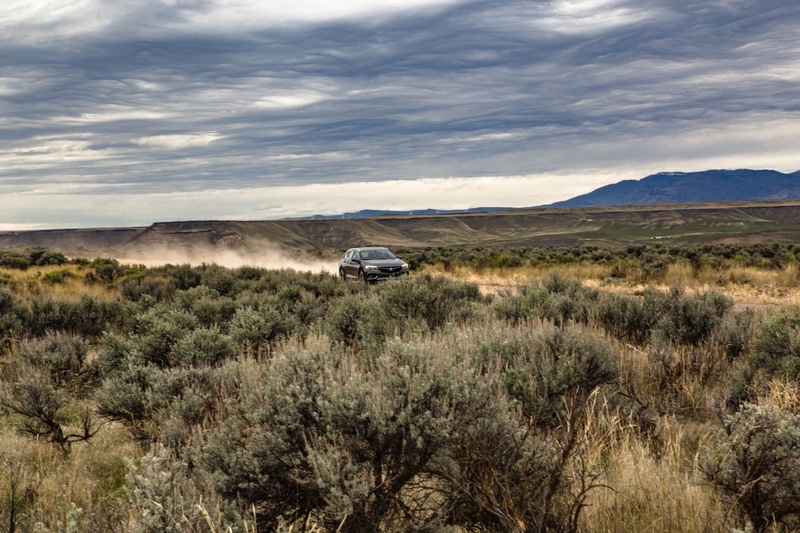 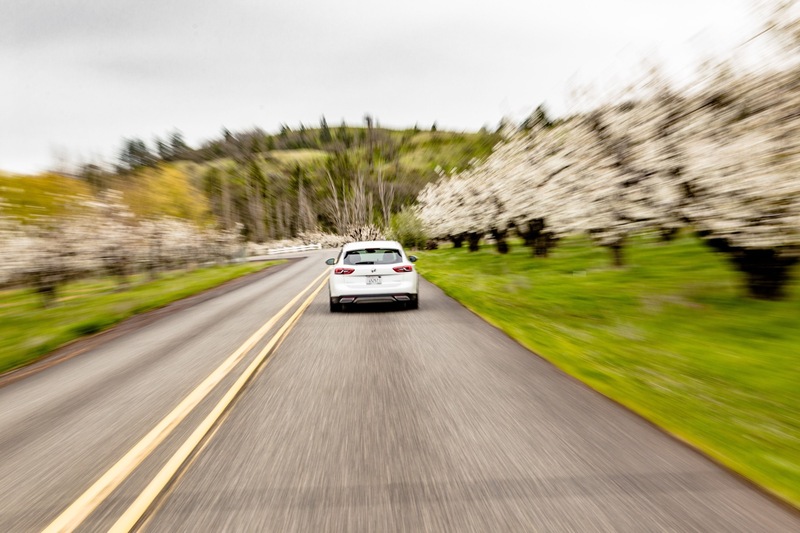 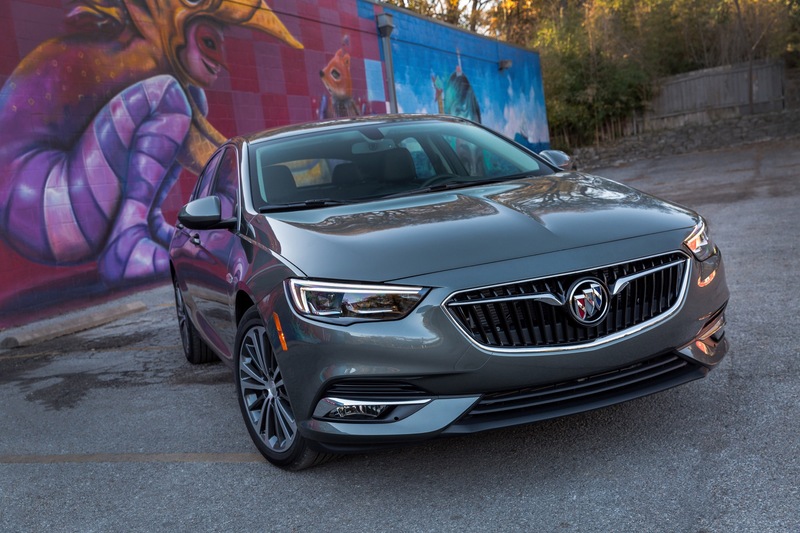 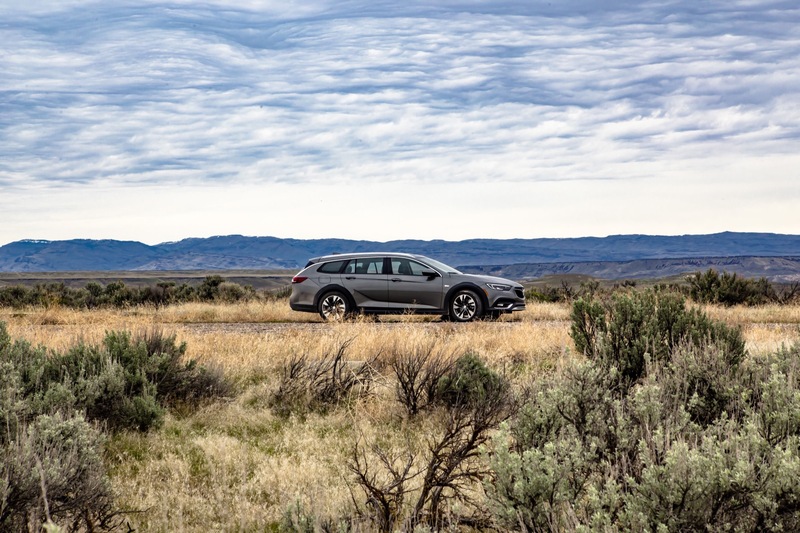 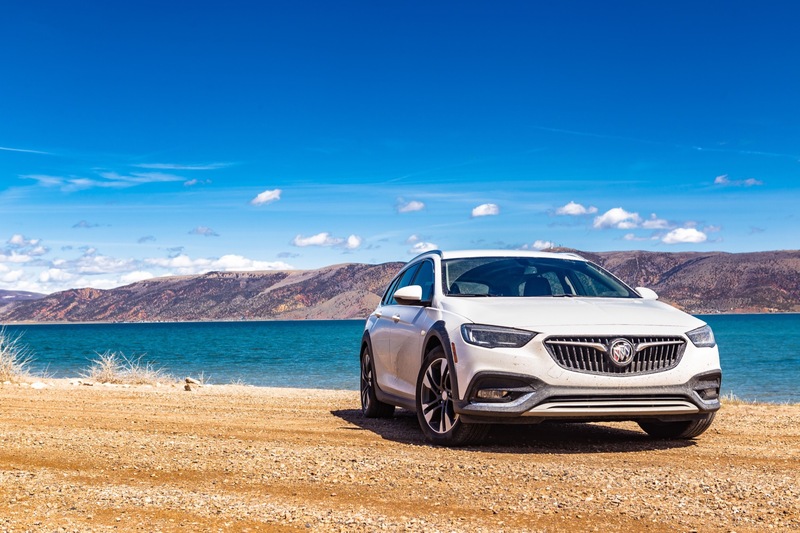 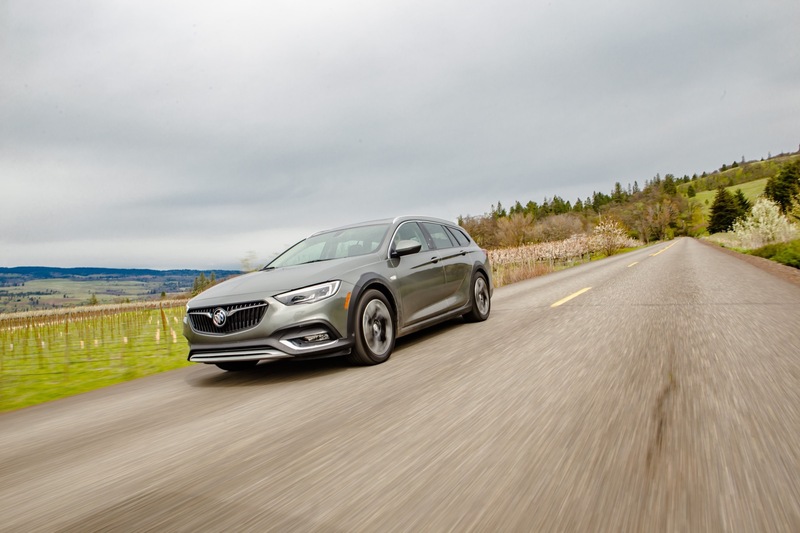 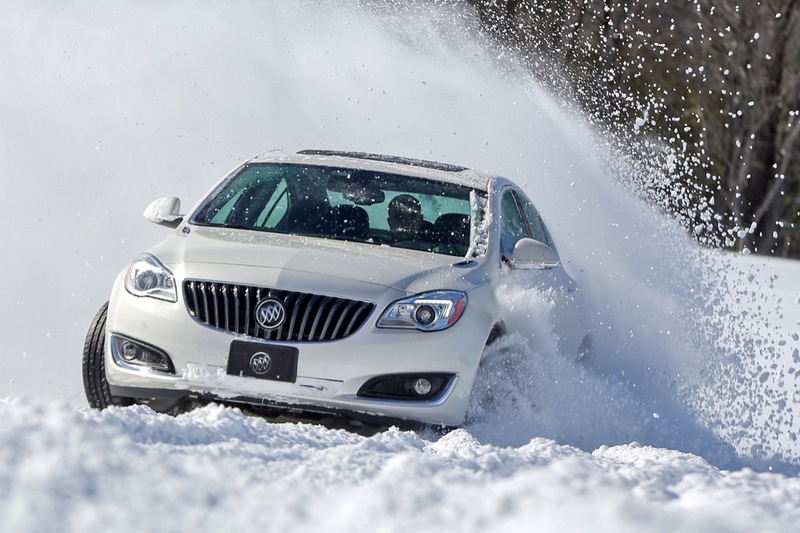 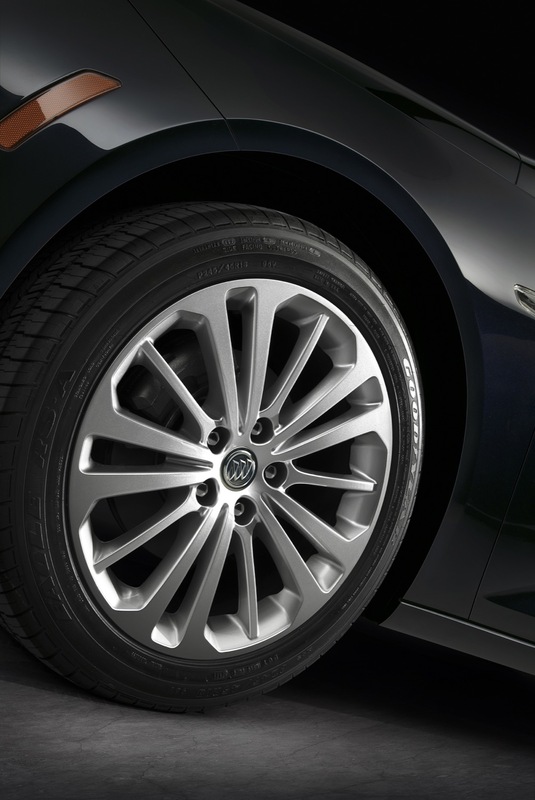 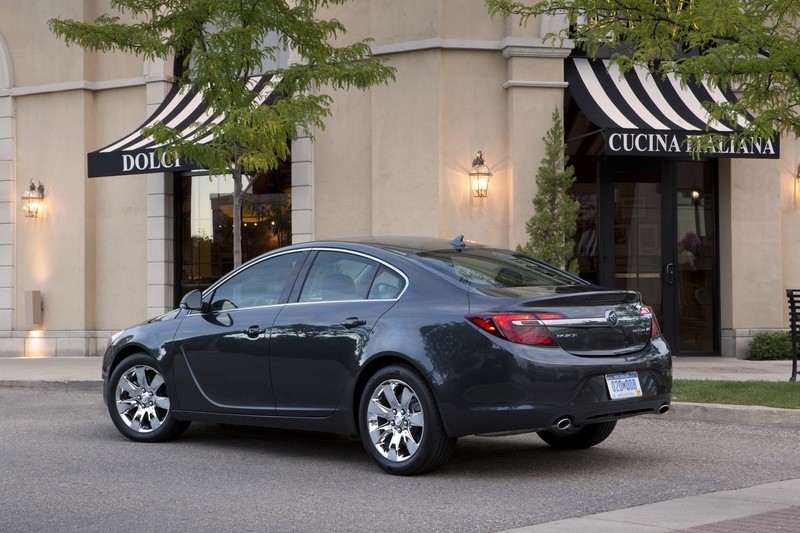 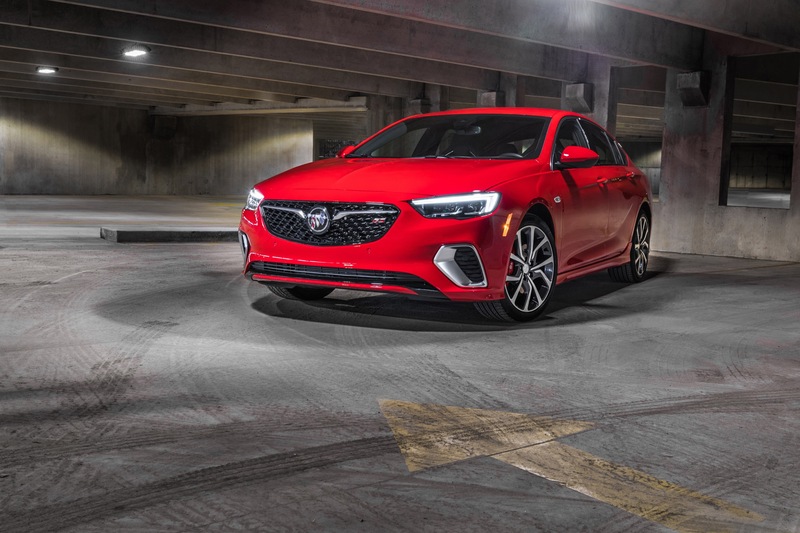 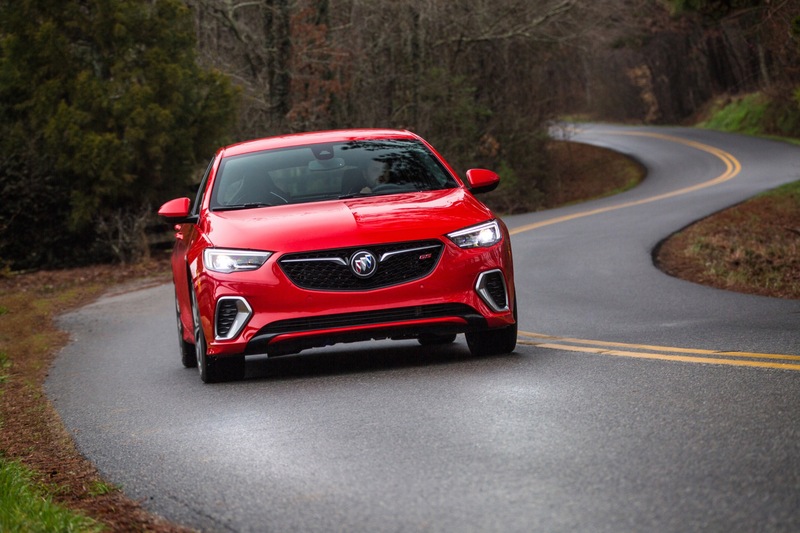 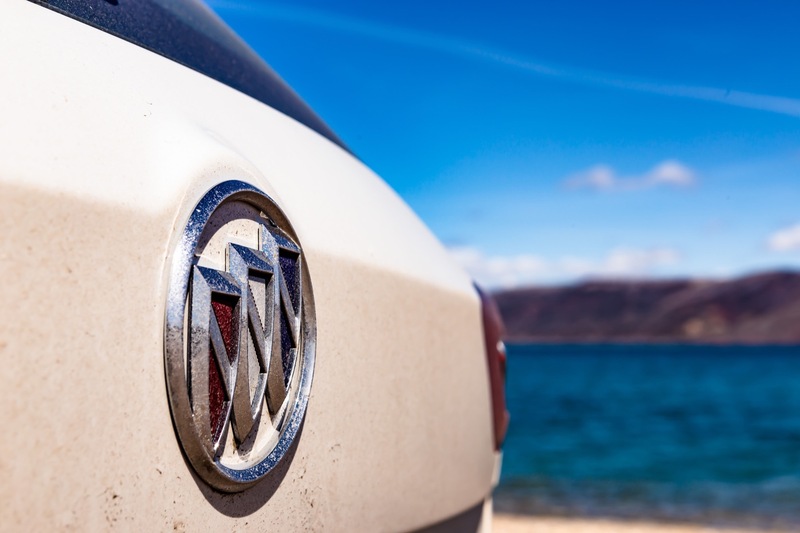 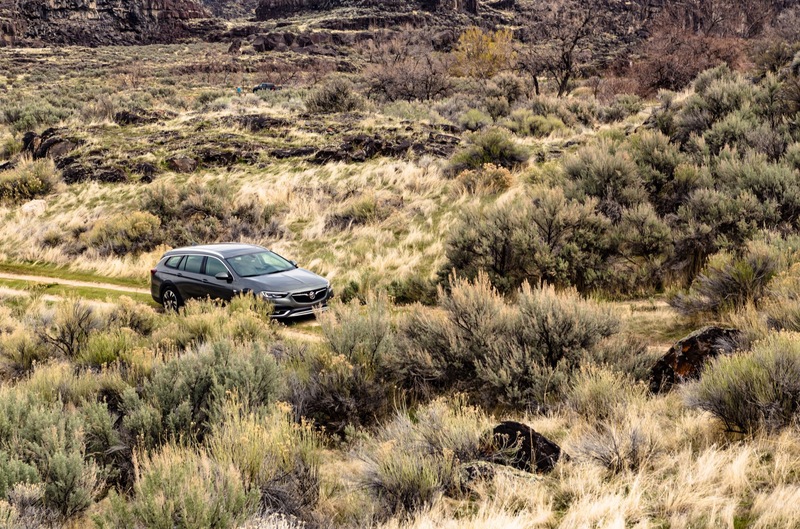 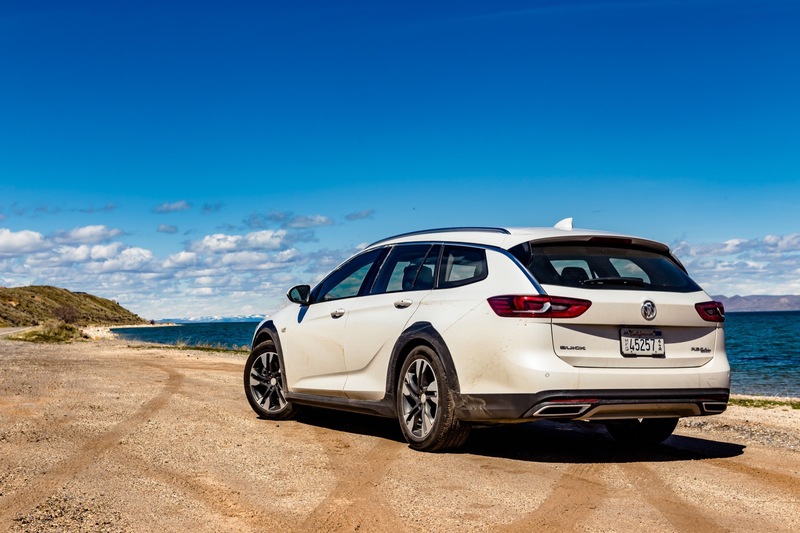 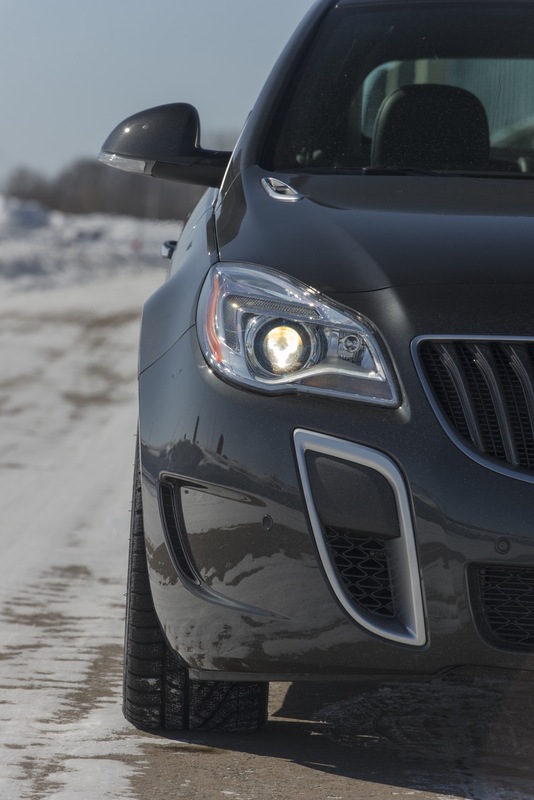 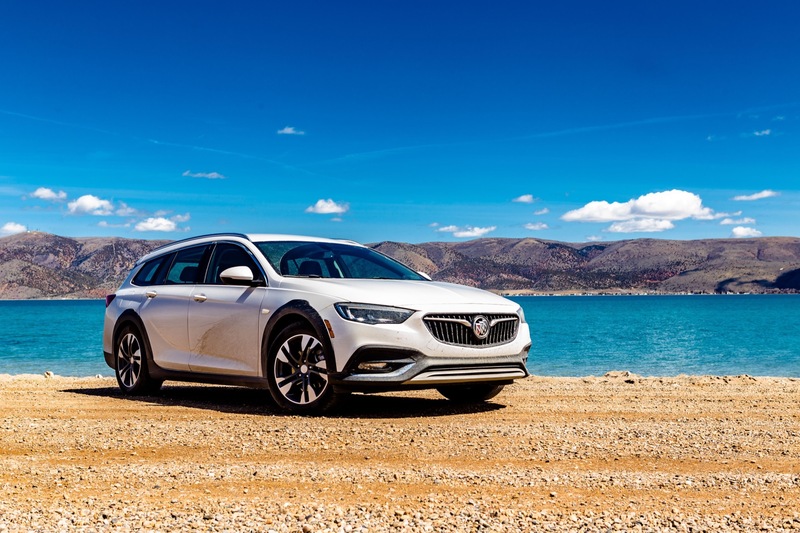 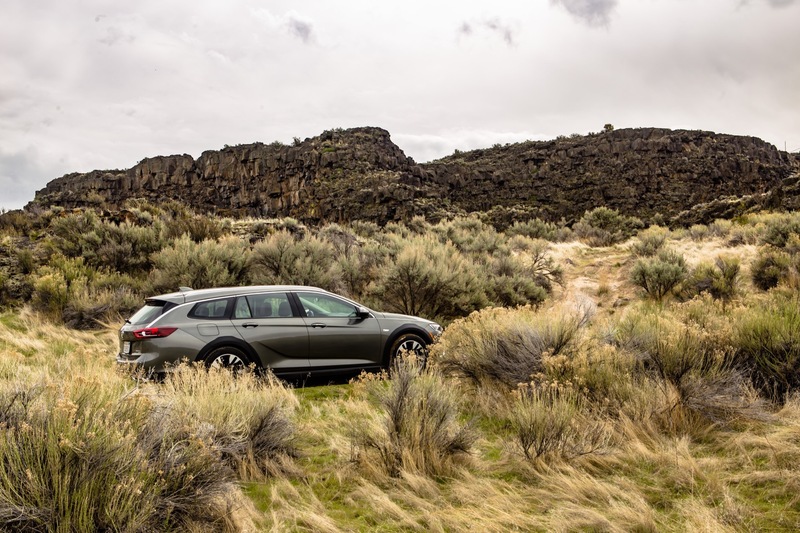 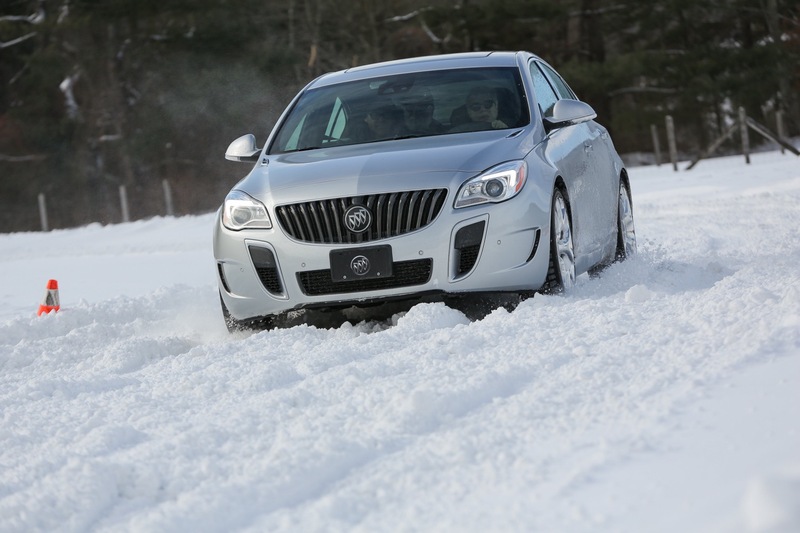 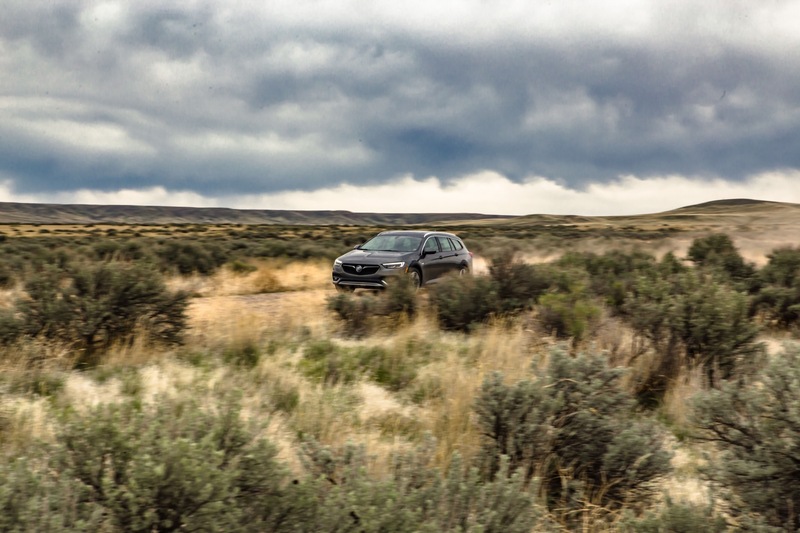 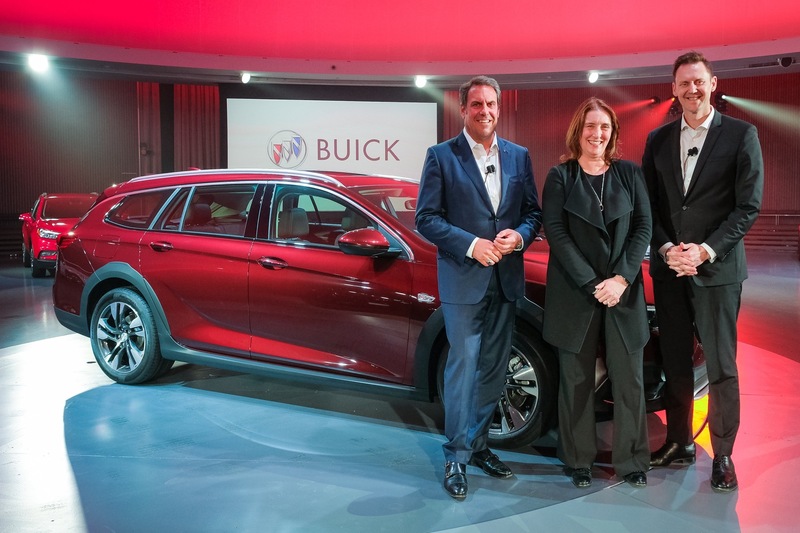 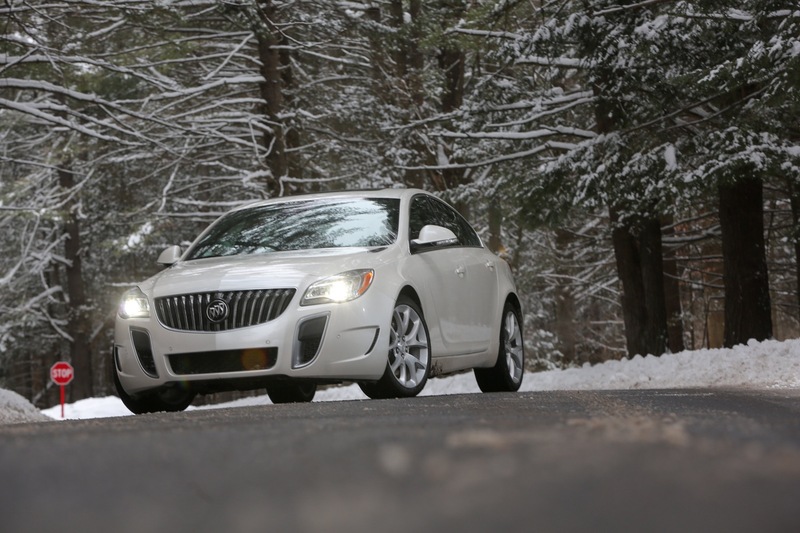 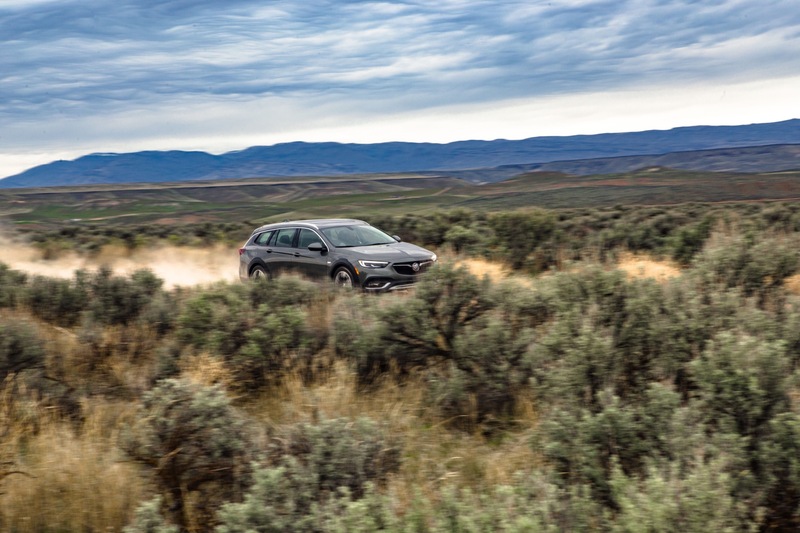 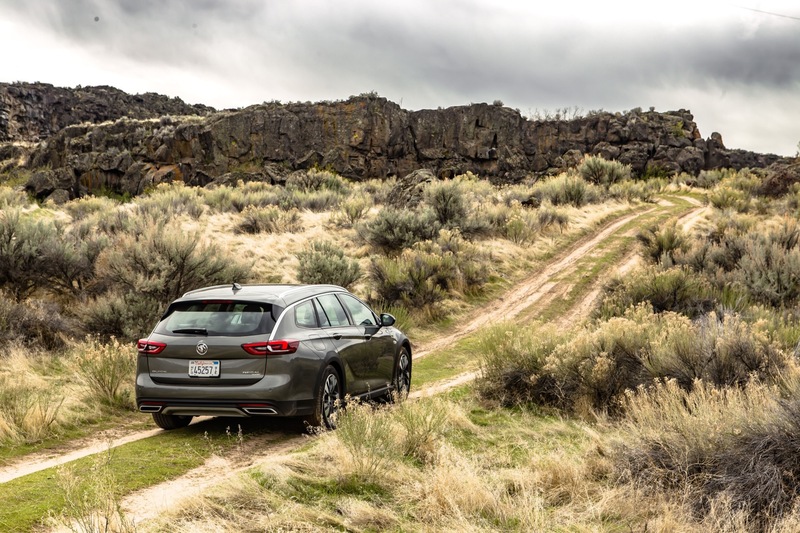 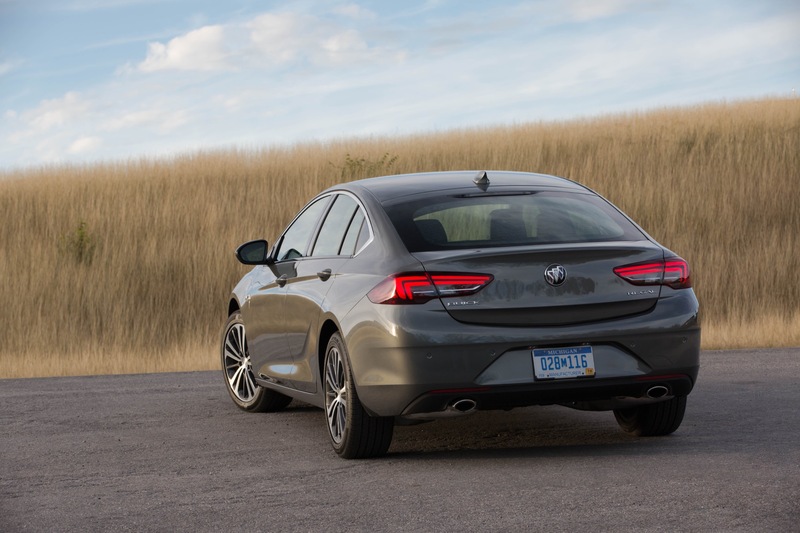 Buick Regal sales increased in the United States and in Canada while decreasing in Mexico in the fourth quarter of 2018. 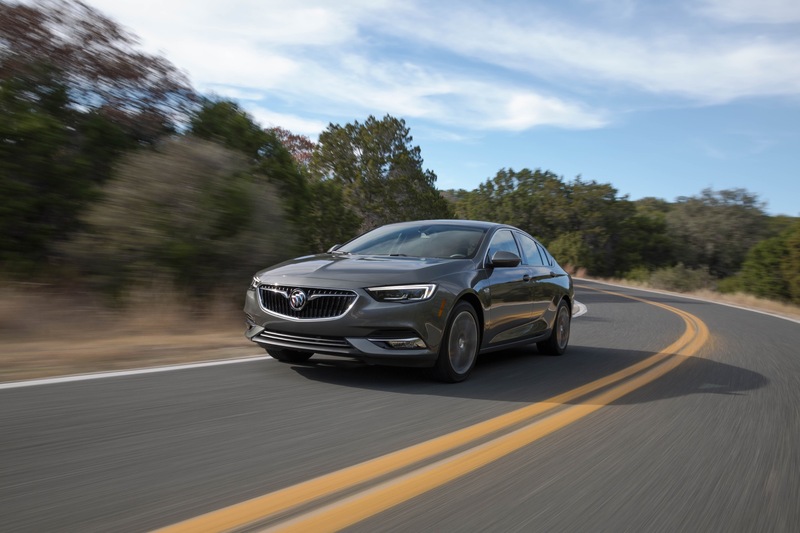 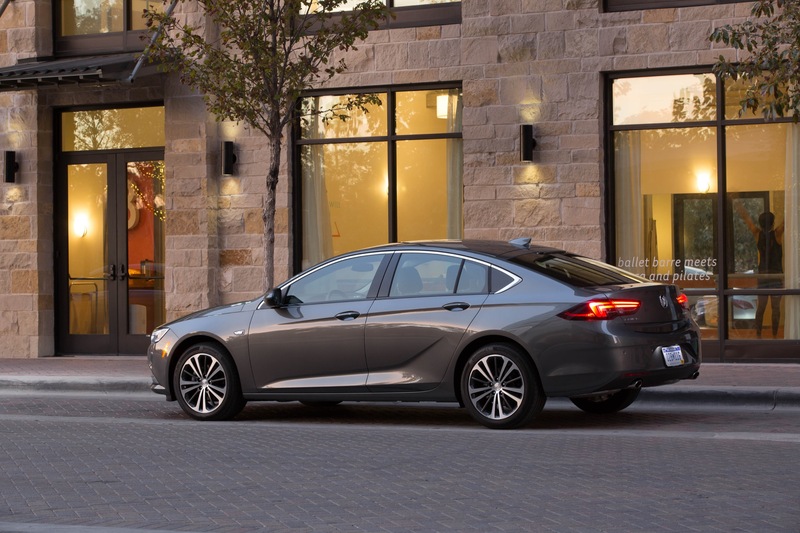 In the United States, Buick Regal deliveries totaled 3,110 units in Q4 2018, an increase of about 21 percent compared to 2,569 units sold in Q4 2017. 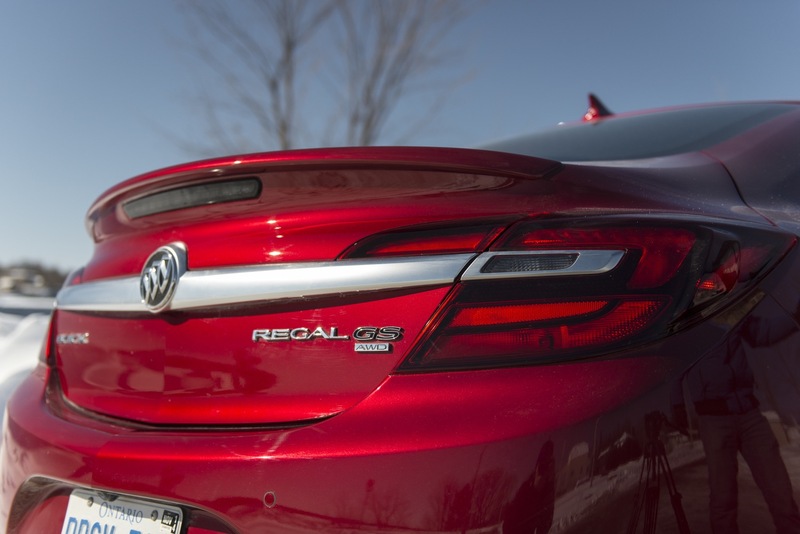 During the complete 2018 calendar year, Regal sales increased about 22 percent to 14,118 units. 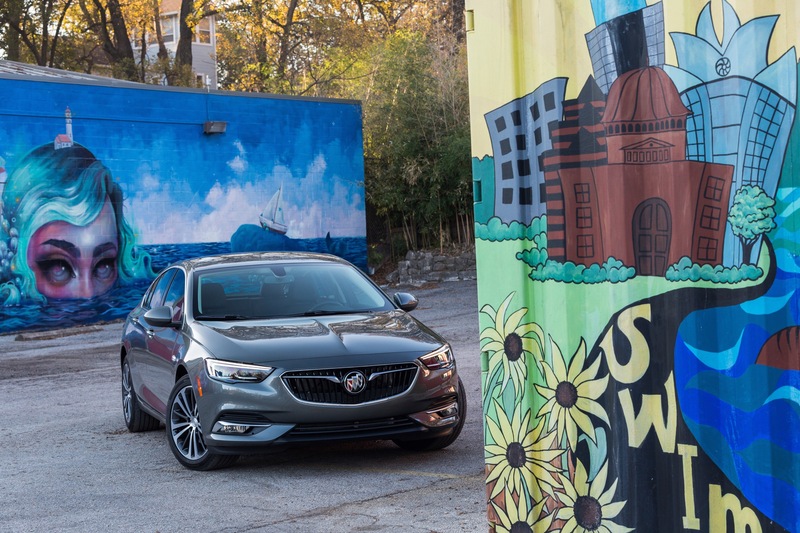 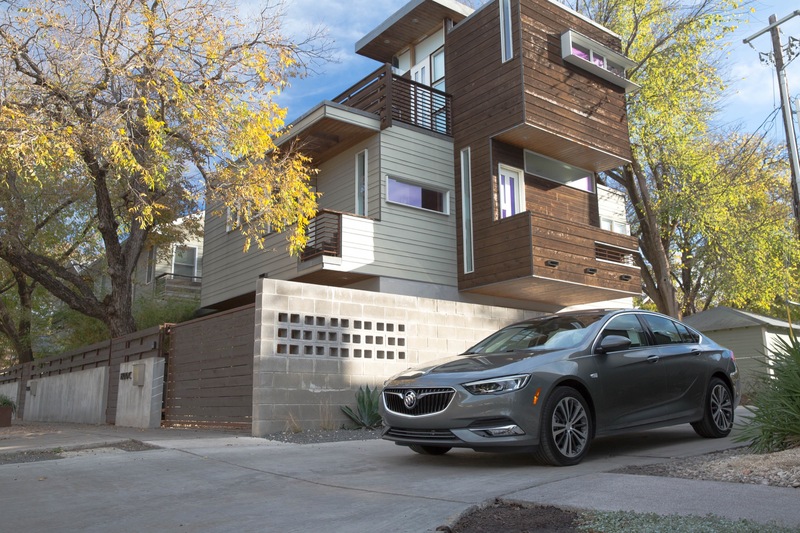 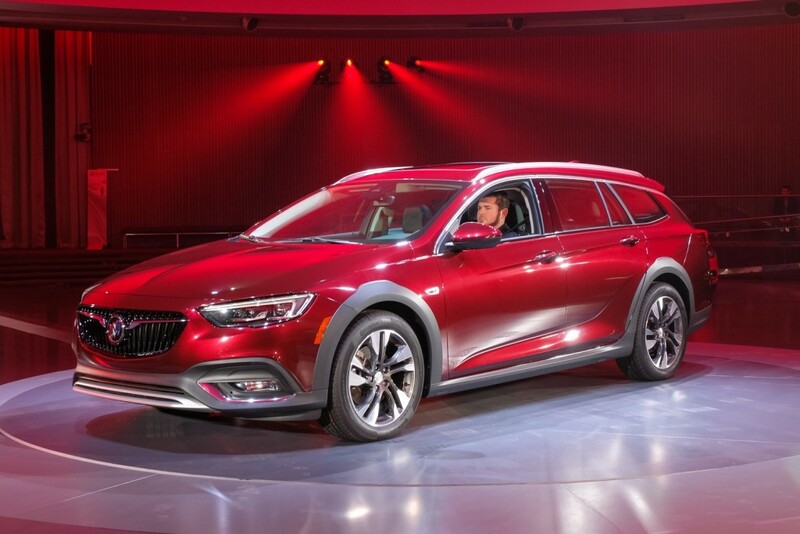 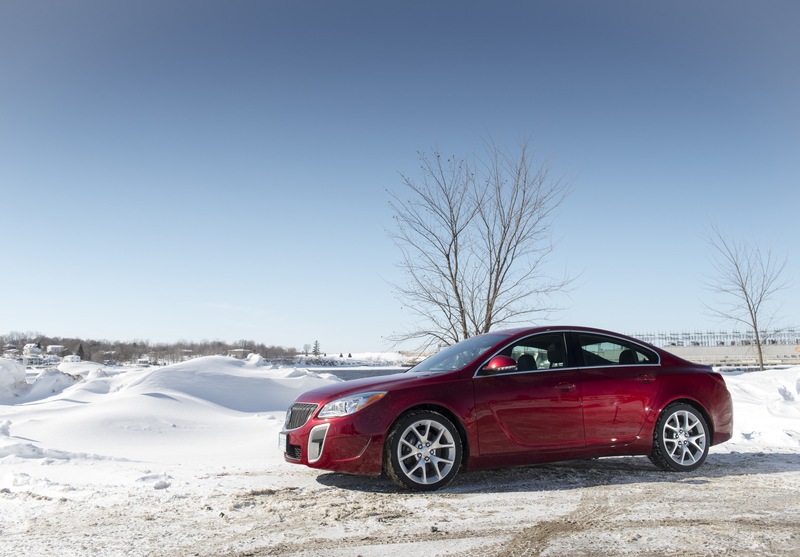 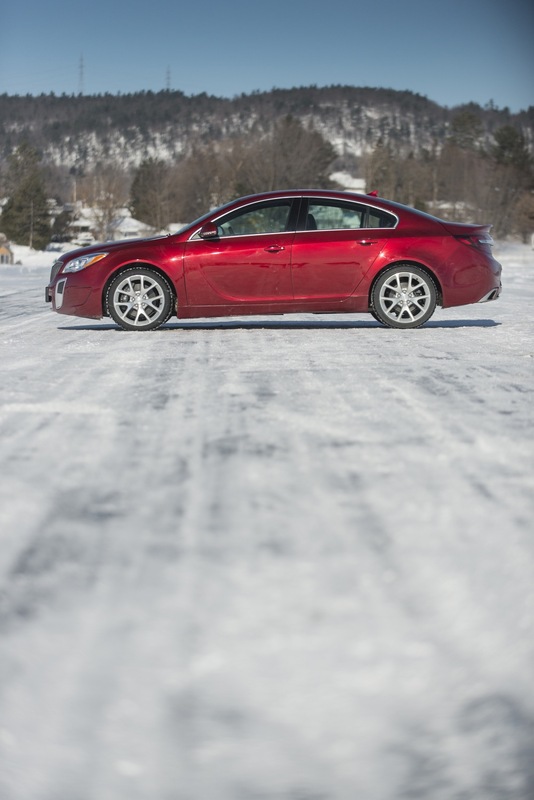 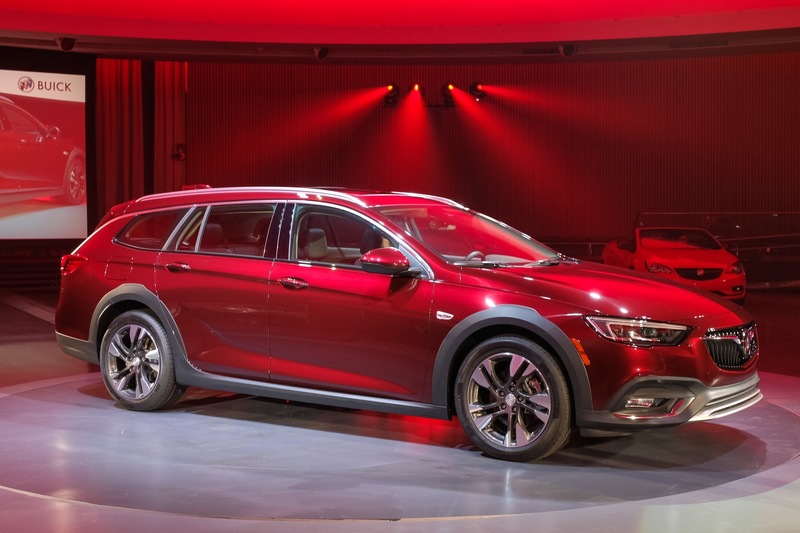 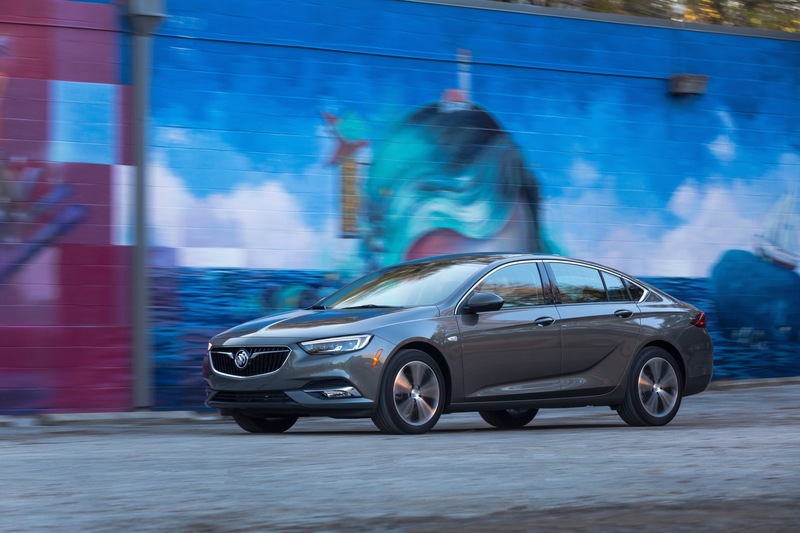 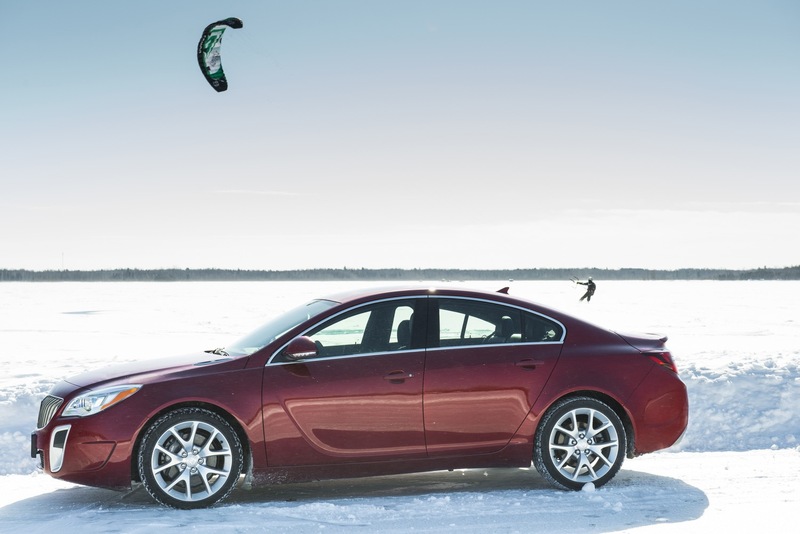 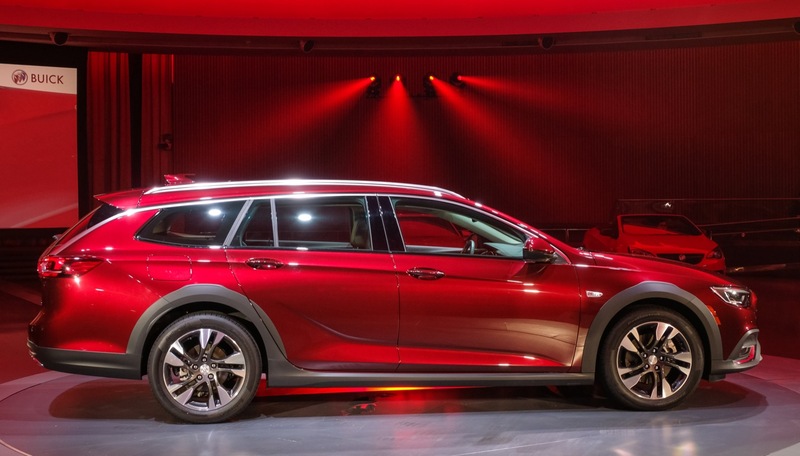 In Canada, Buick Regal deliveries totaled 254 units in Q4 2018, an increase of about 98 percent compared to 128 units sold in Q4 2017. 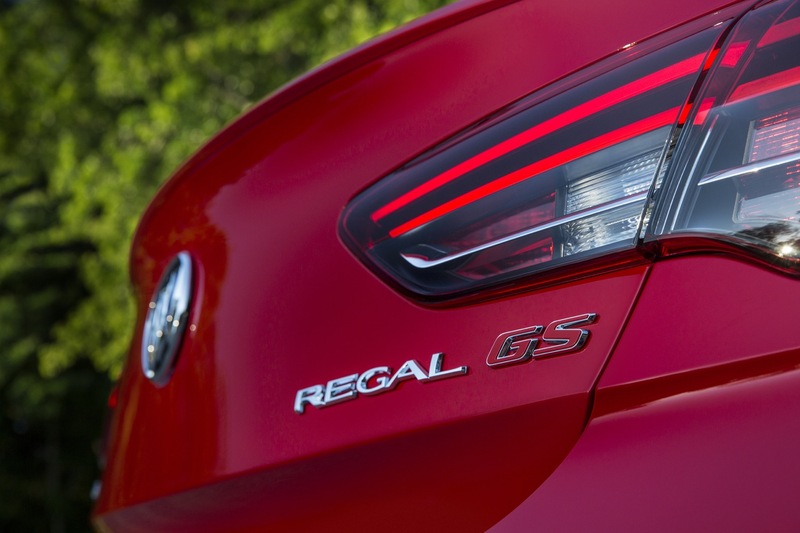 During the complete 2018 calendar year, Regal sales were flat at 0 units. 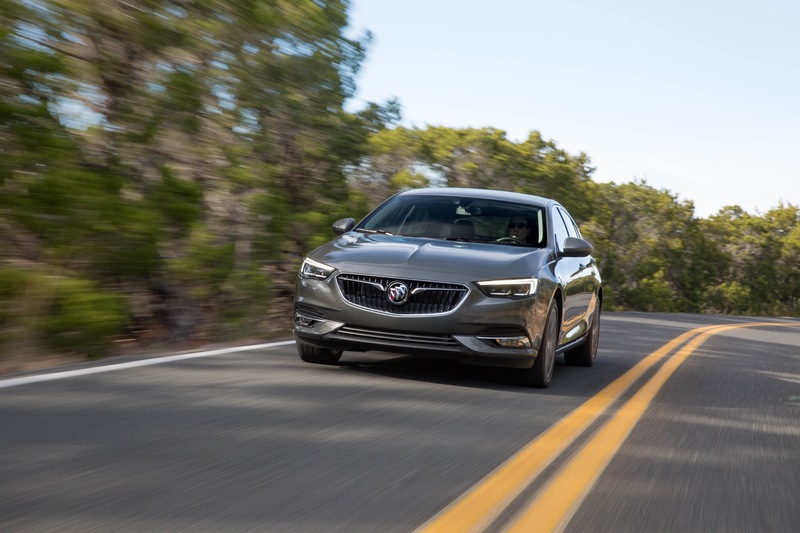 In Mexico, Buick Regal deliveries totaled 0 units in Q4 2018, a decrease of about 100 percent compared to 12 units sold in Q4 2017. 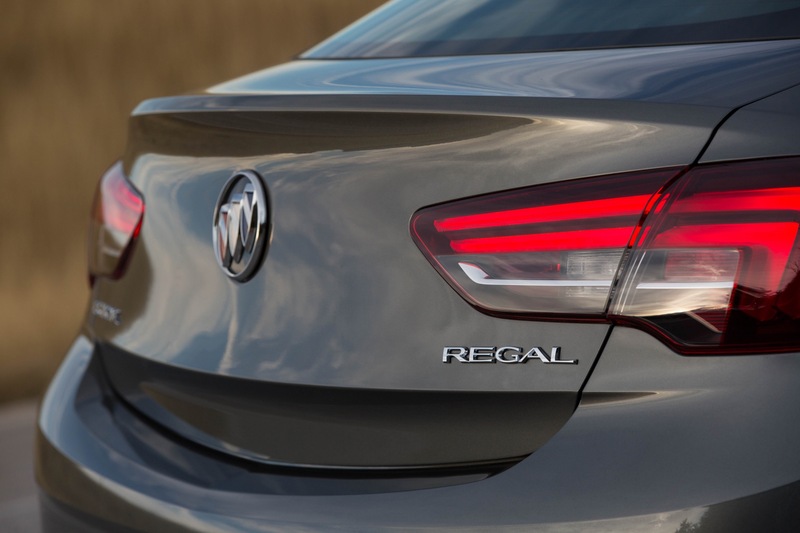 During the complete 2018 calendar year, Regal sales decreased about 40 percent to 44 units. 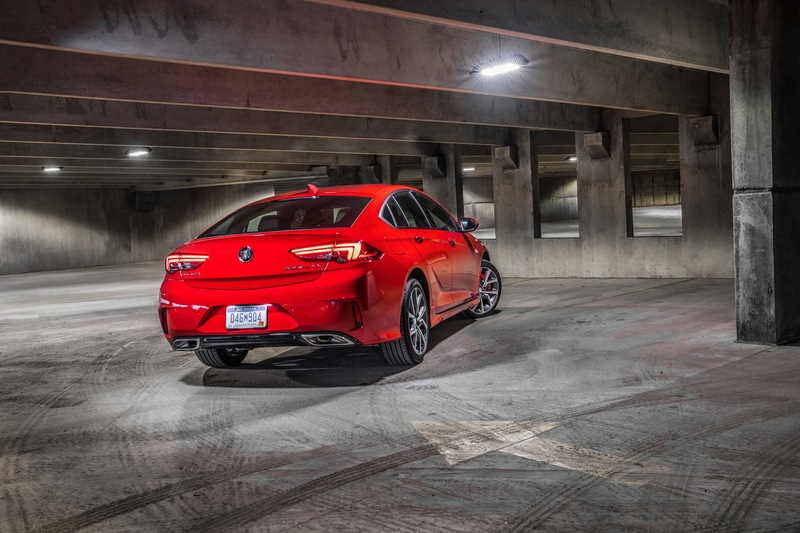 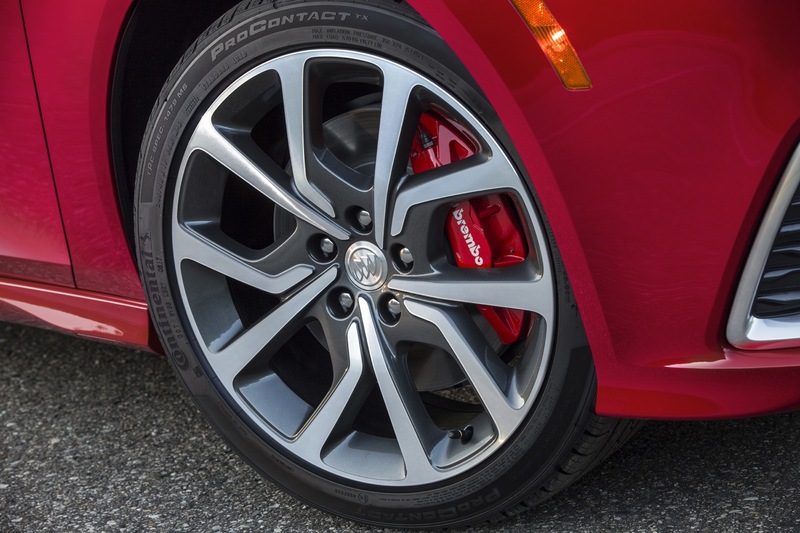 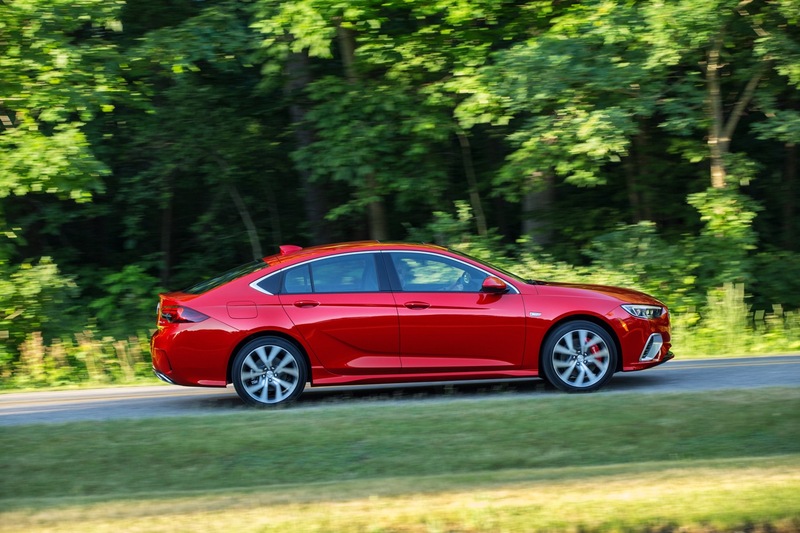 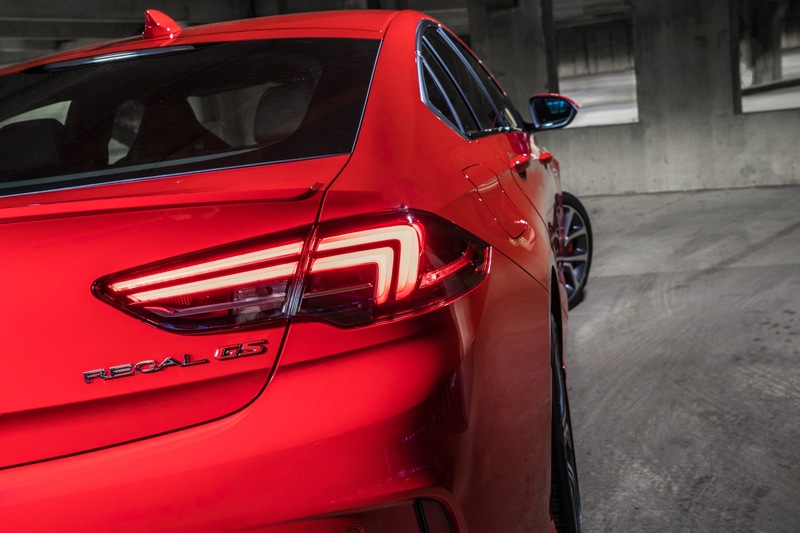 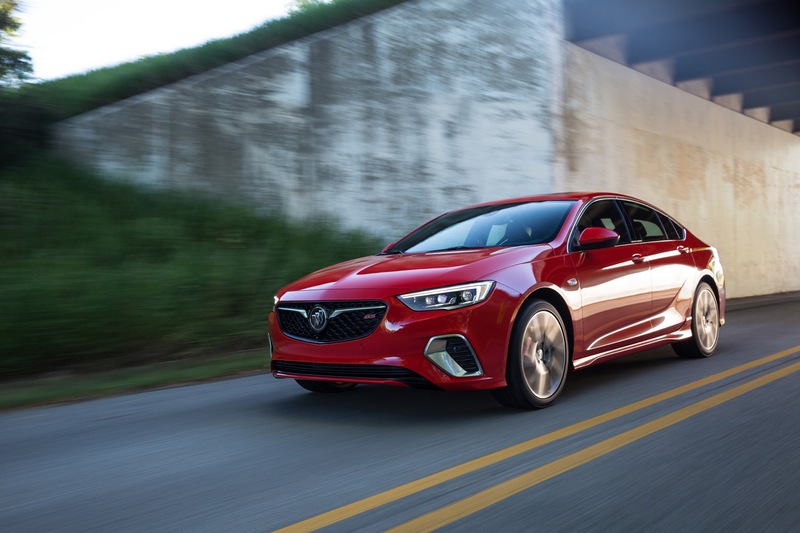 The Regal family was outsold by the other two segment contenders during the fourth quarter – the Acura TLX and the Kia Stinger. 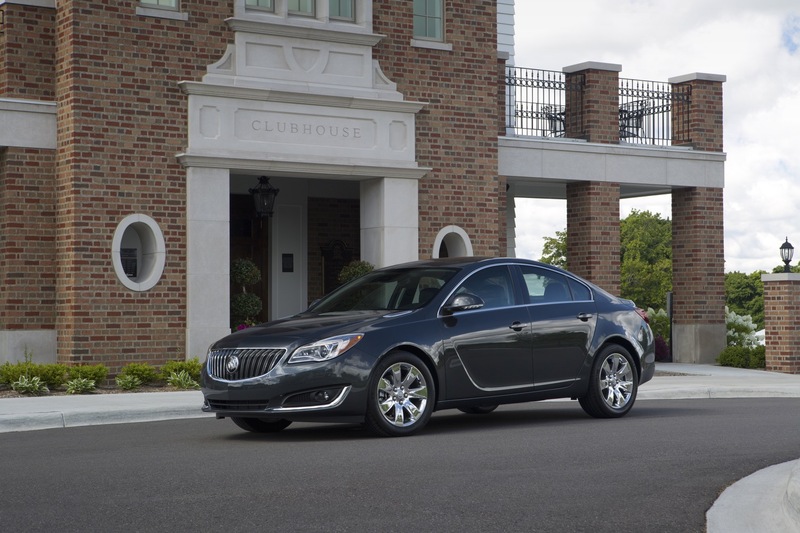 That puts the Regal in last place in its segment by sales volume, which – in this case – is not necessarily a bad thing. 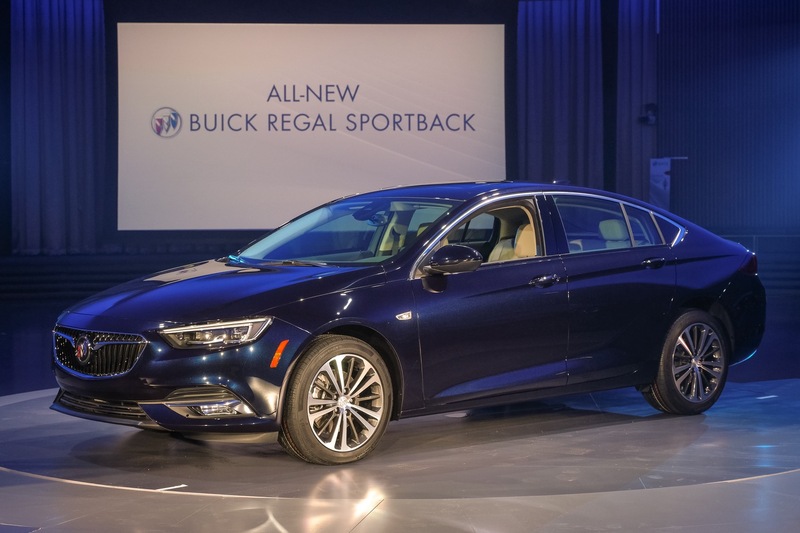 The difference between Regal and TLX sales was quite vast, with the Acura selling over twice as many units as the Buick. 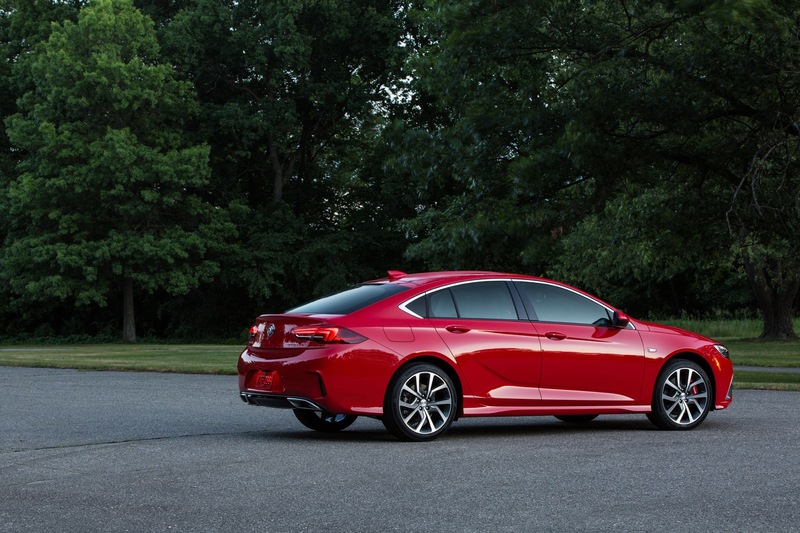 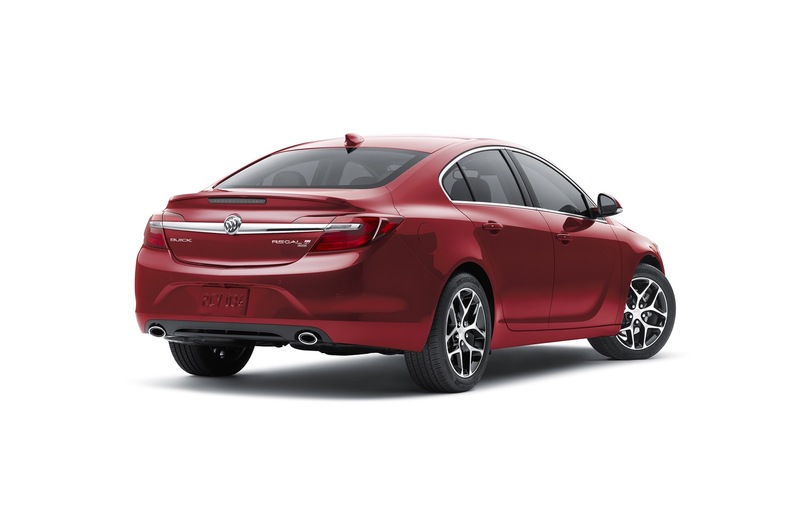 Be that as it may, the Regal managed to close the gap with the TLX, which saw sales dip 9 percent during the quarter. 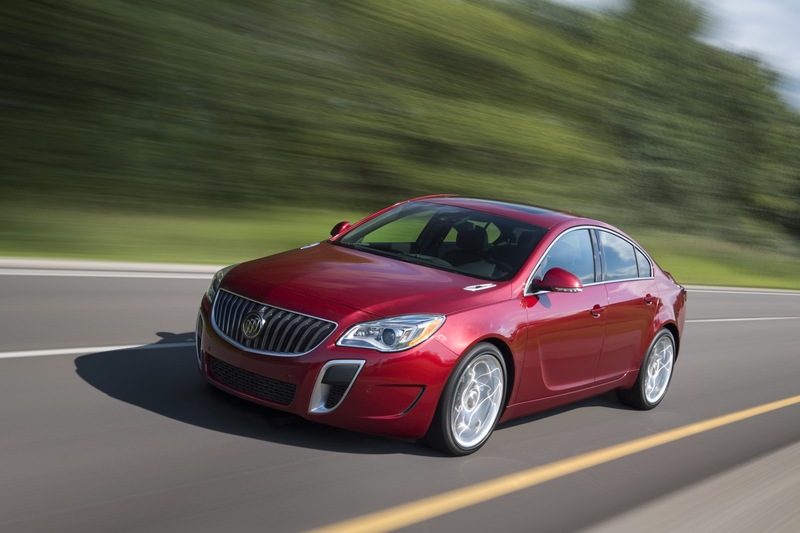 Meanwhile, the Kia sold 607 units more than the Regal. 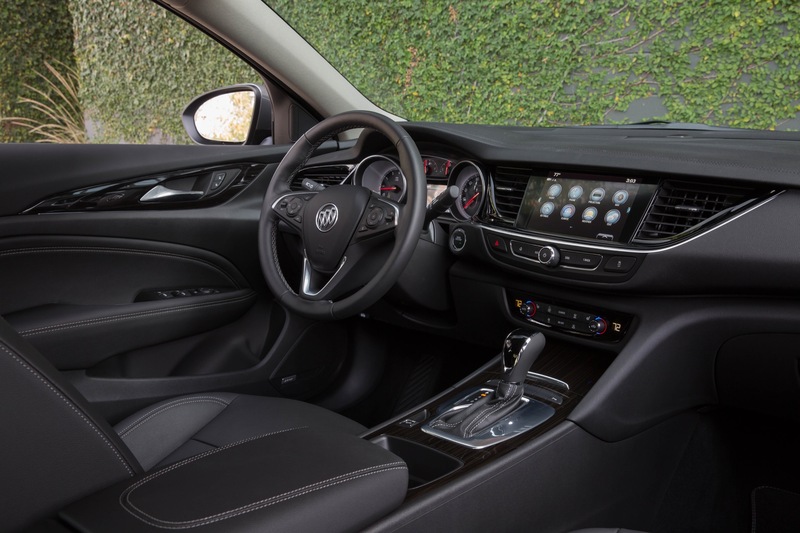 What’s impressive is that the Kia did so while offering only a single body and commanding a higher base price. 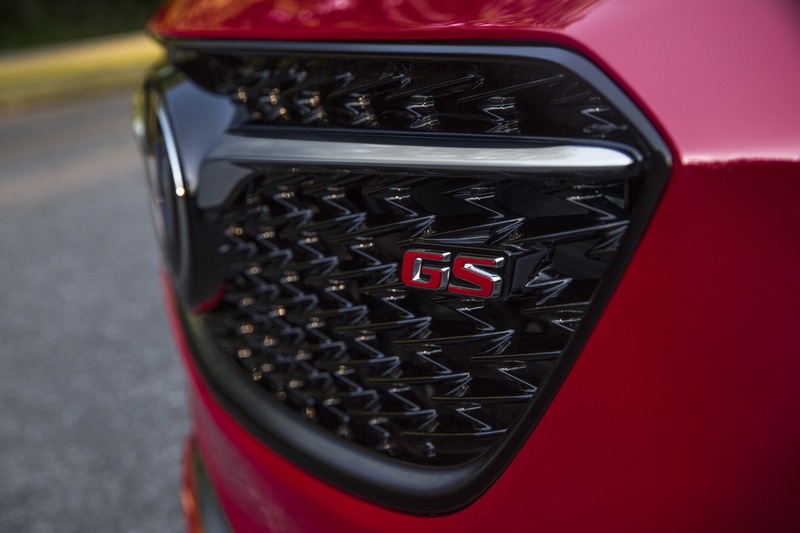 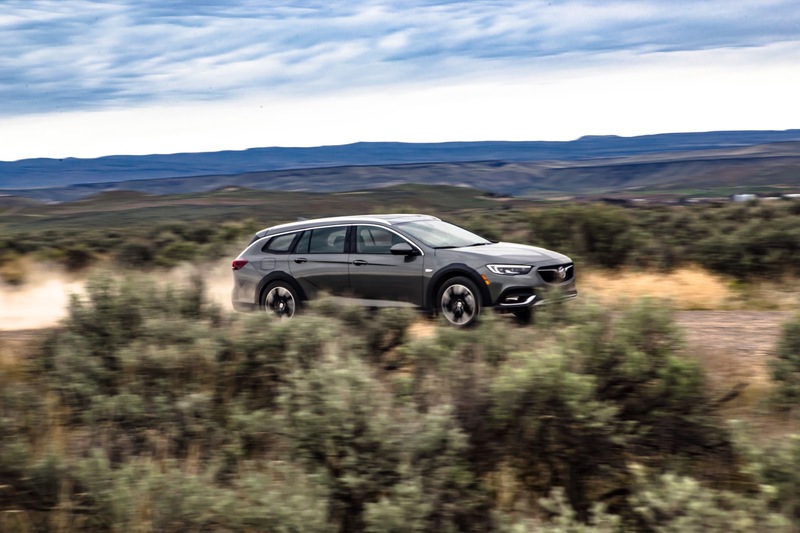 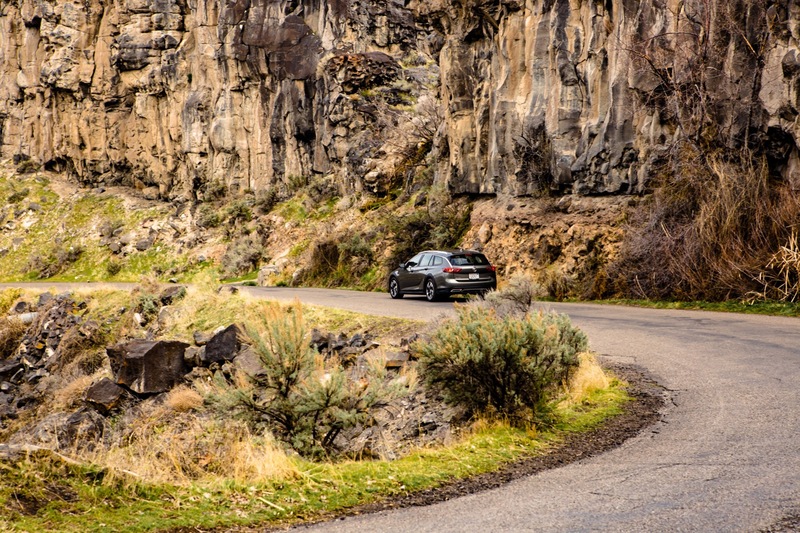 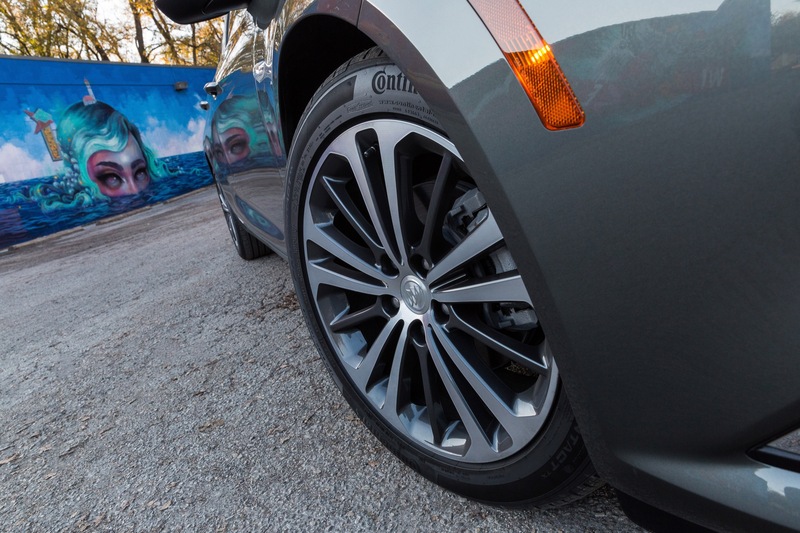 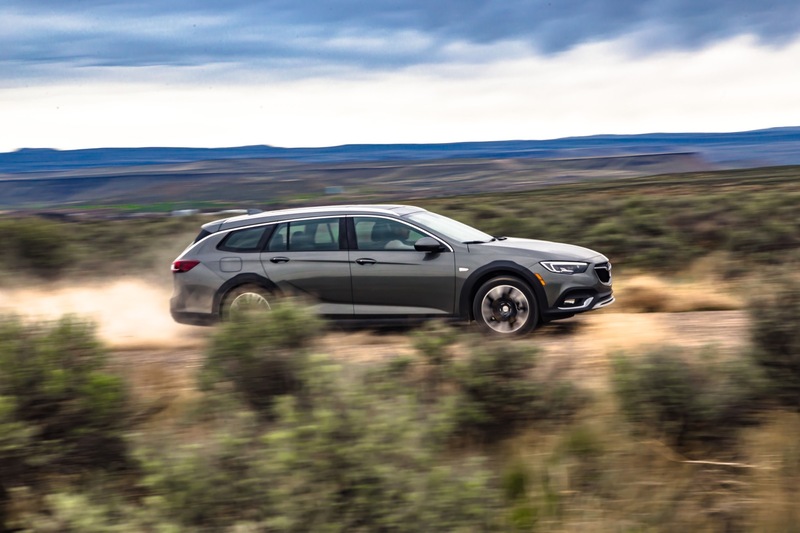 The sporty, midsize premium car segment expanded 23 percent in Q4 2018 and 30 percent in the complete 2018 calendar year. 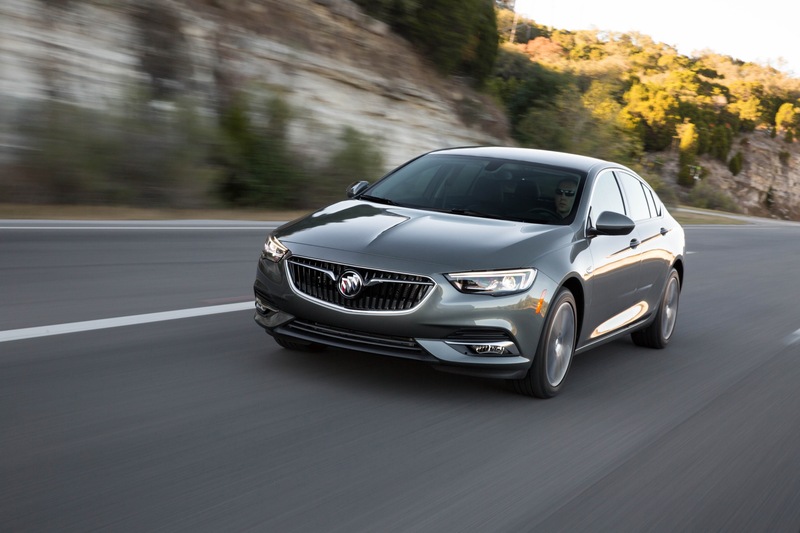 The performance bucks the trend of decreasing car sales. 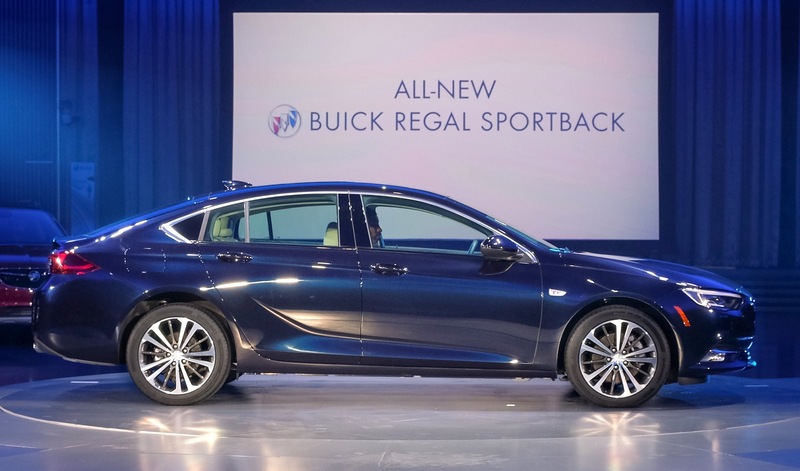 In fact, we believe that Regal sales would be even higher if GM/Buick marketed the vehicle. 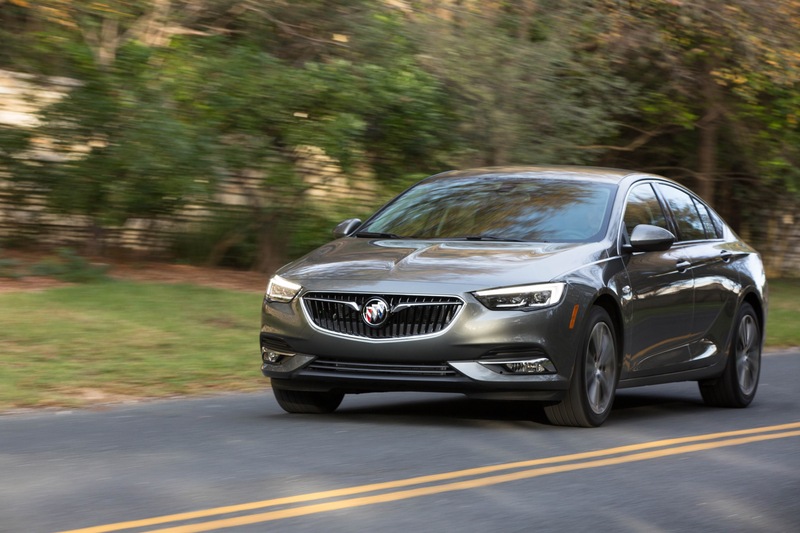 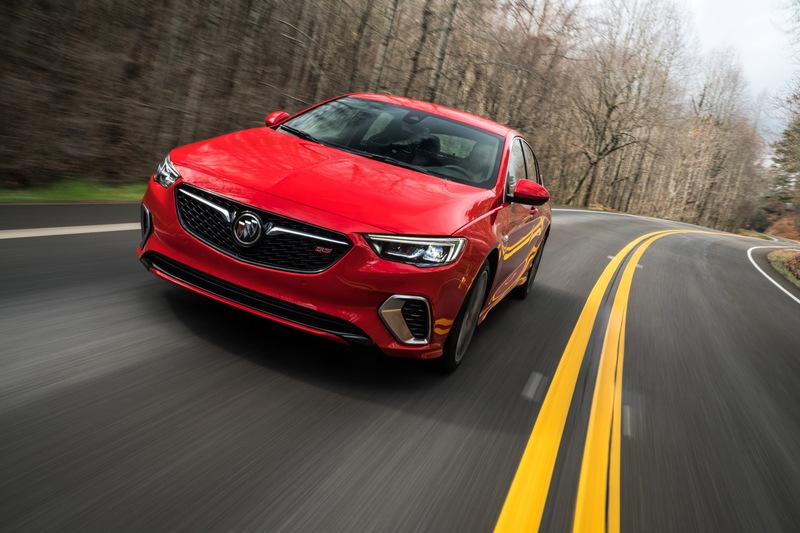 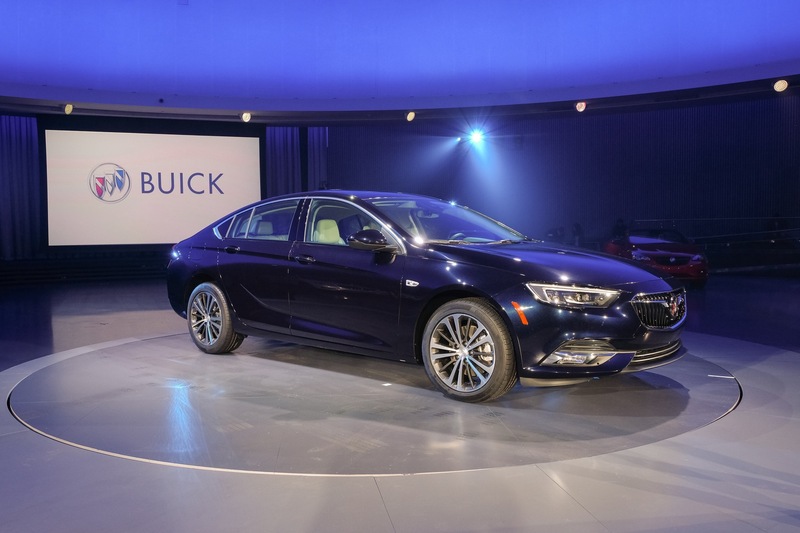 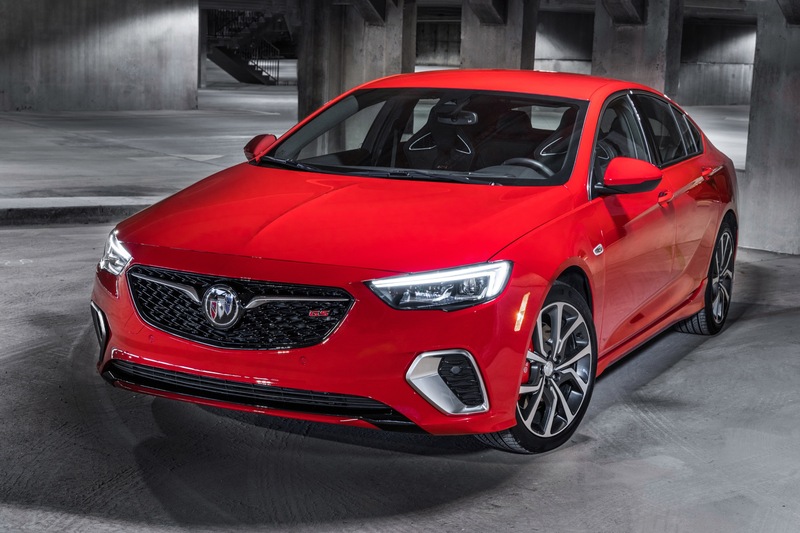 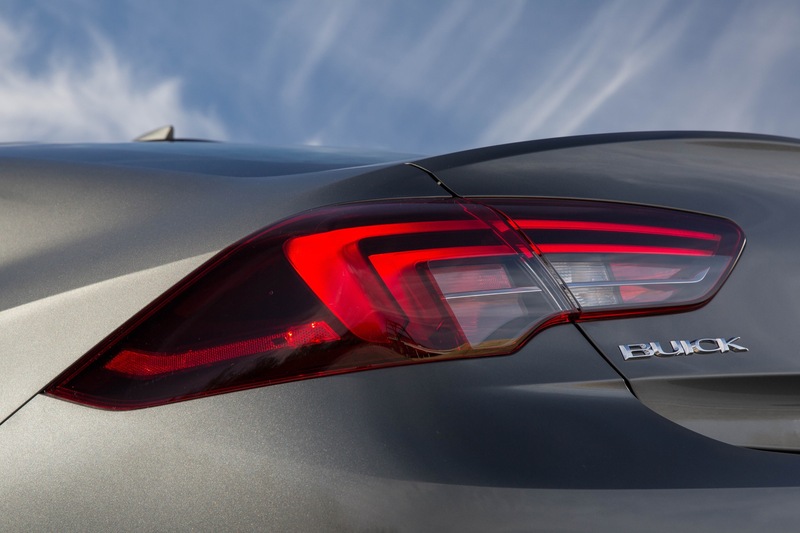 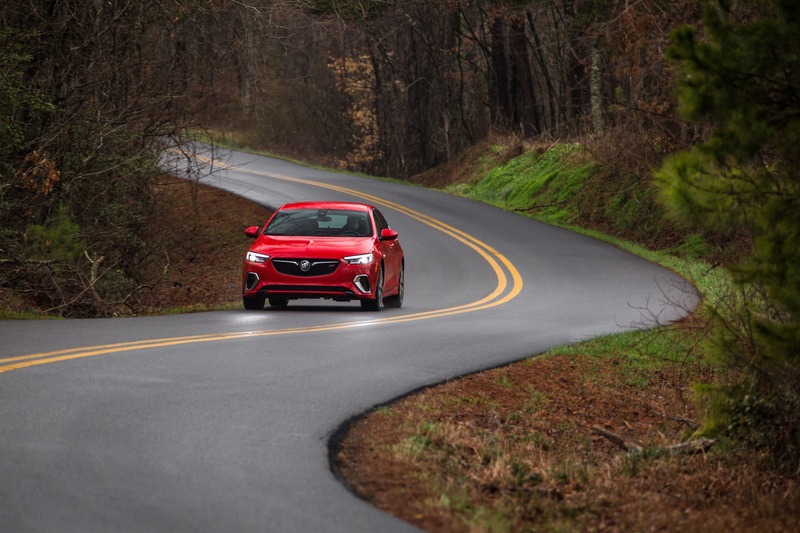 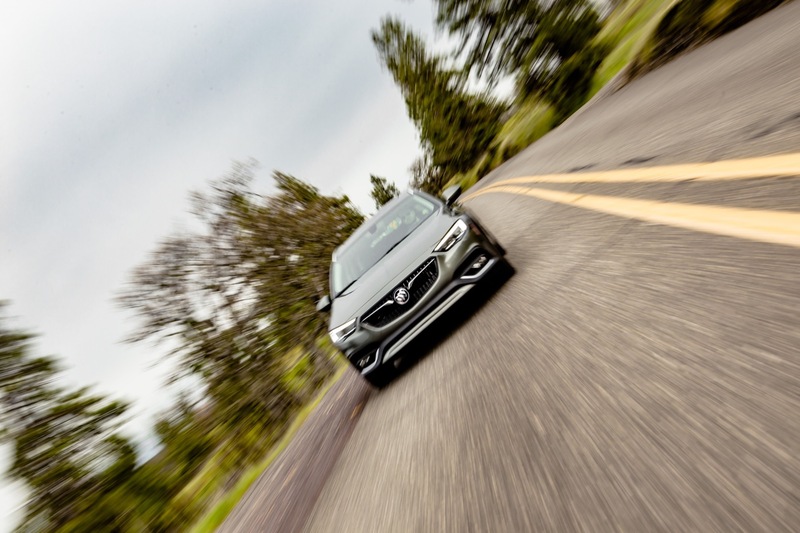 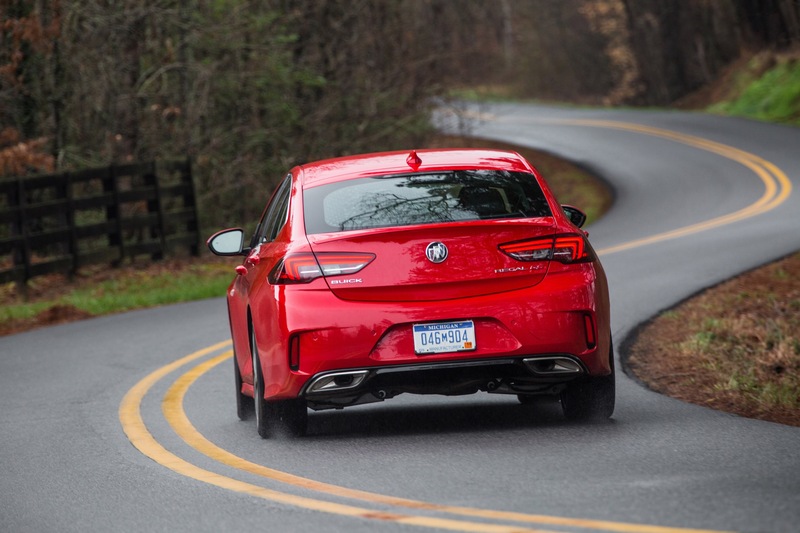 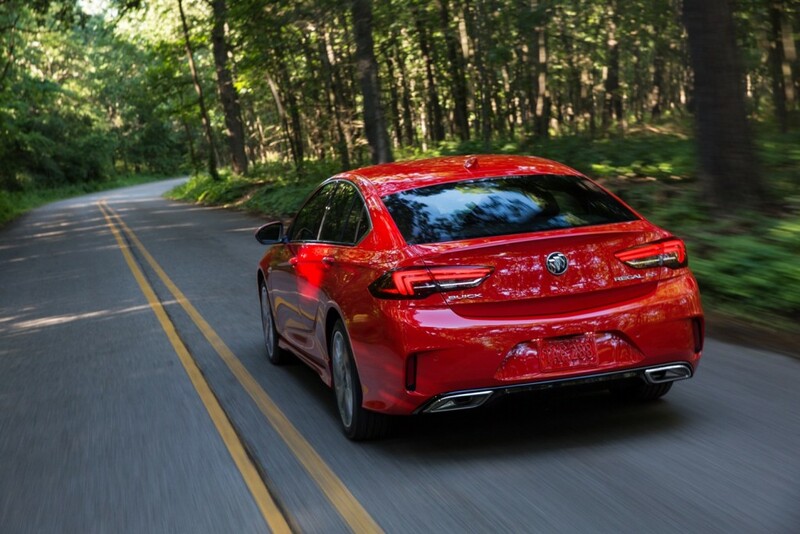 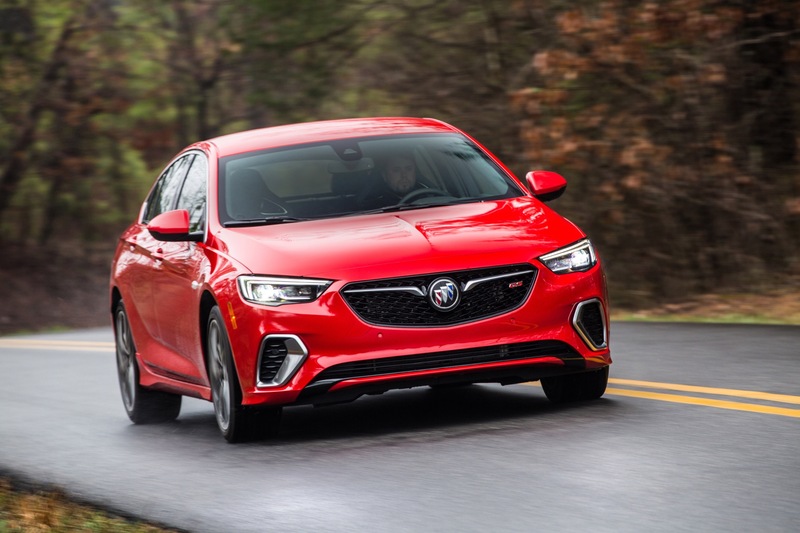 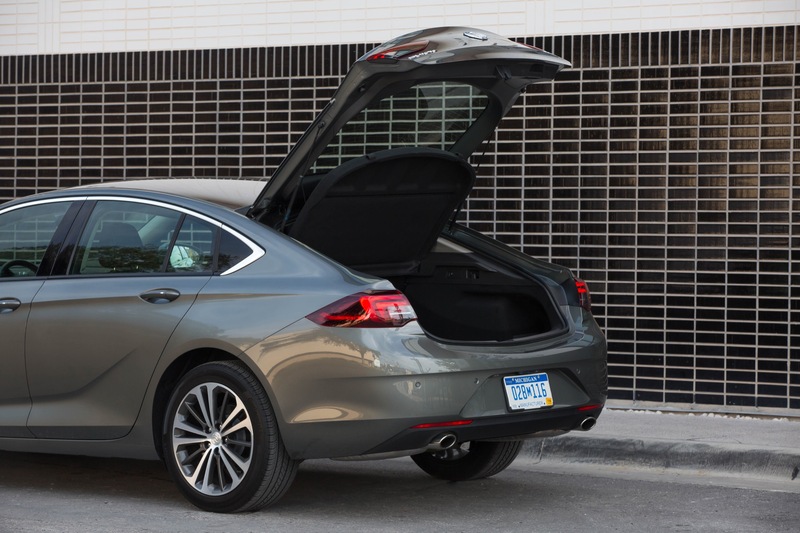 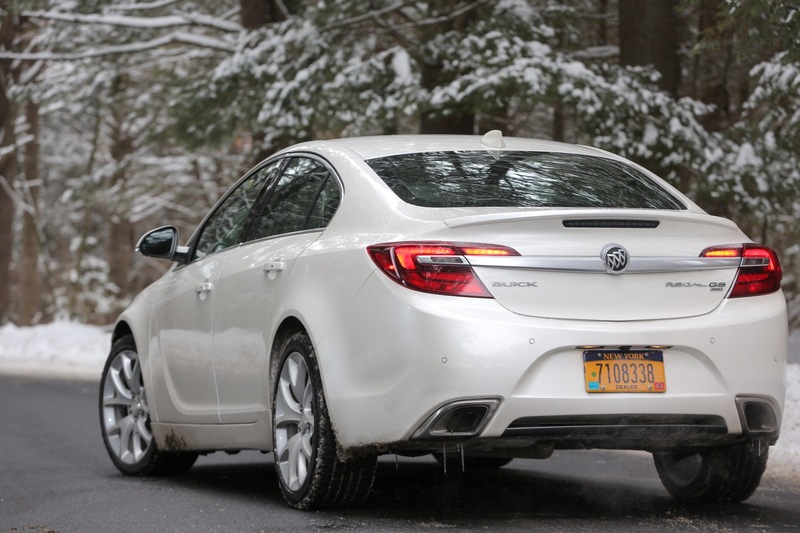 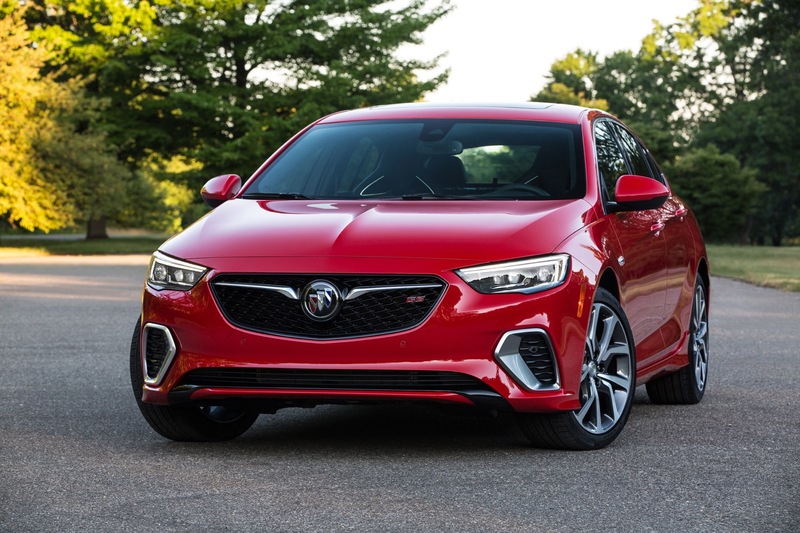 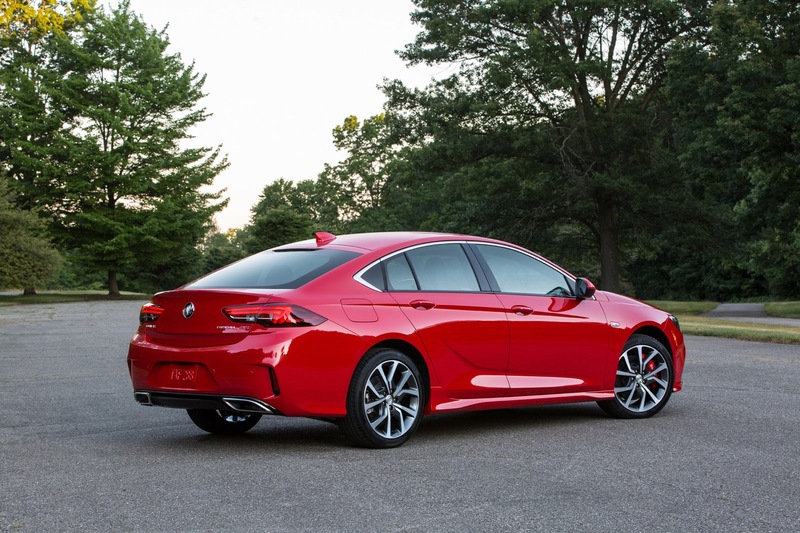 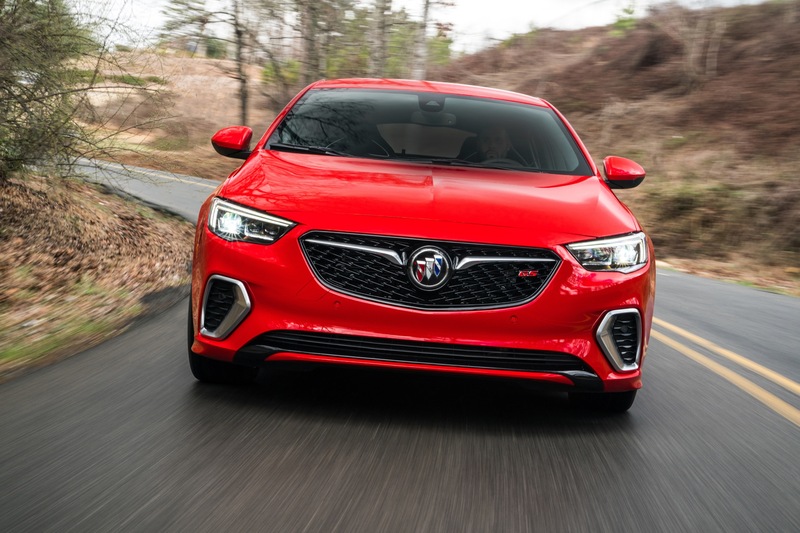 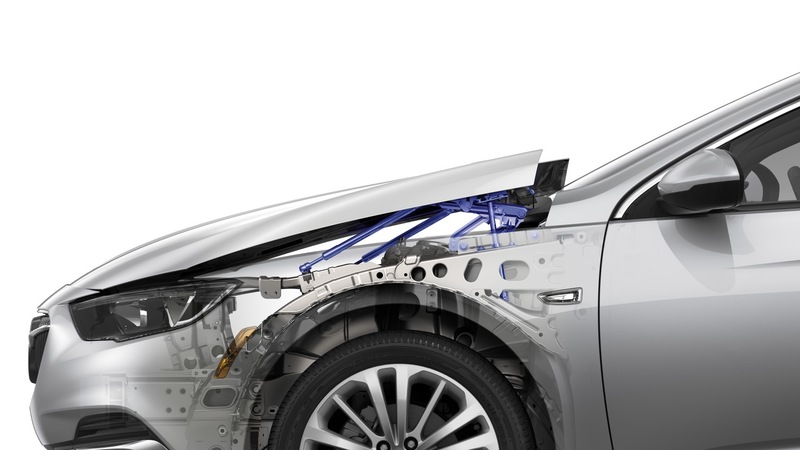 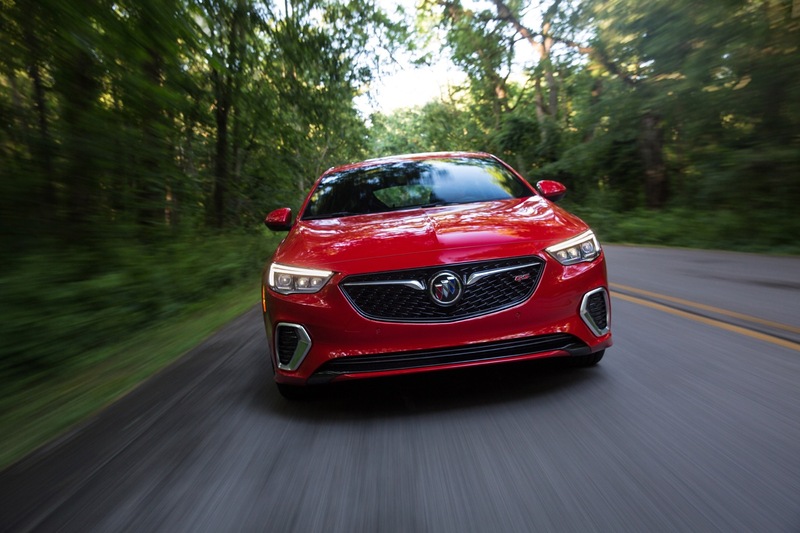 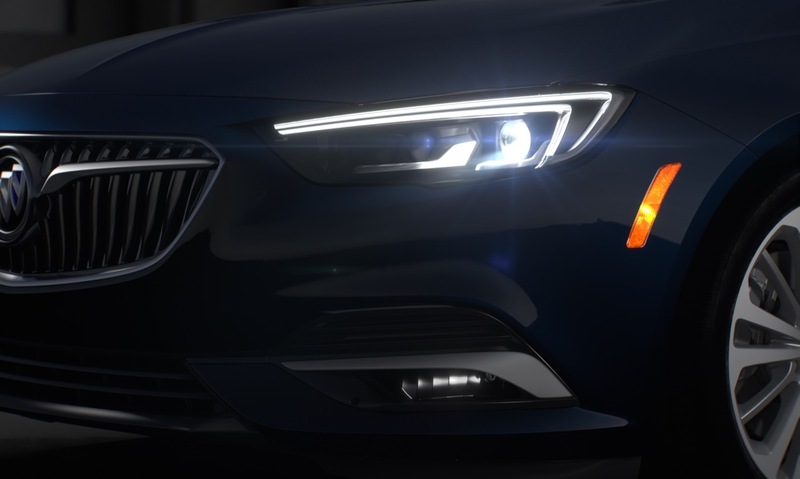 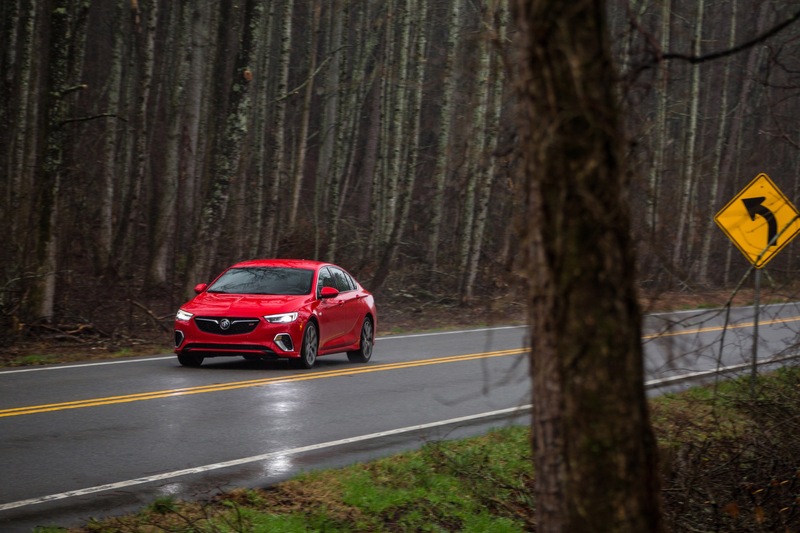 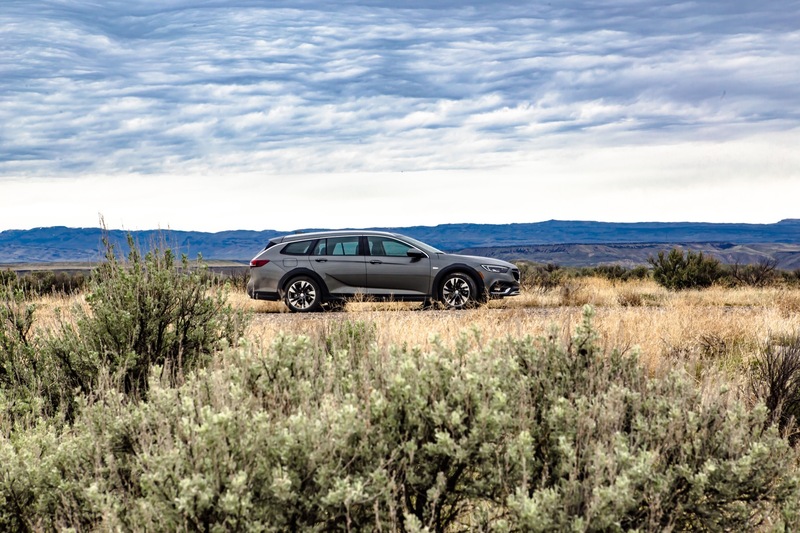 We expect Buick Regal sales to continue an upward trajectory in 2019 as it continues to close the gap with Acura TLX, so long as supply allows – which is not guaranteed due to issues associated with the Russelsheim plant that produces the model. 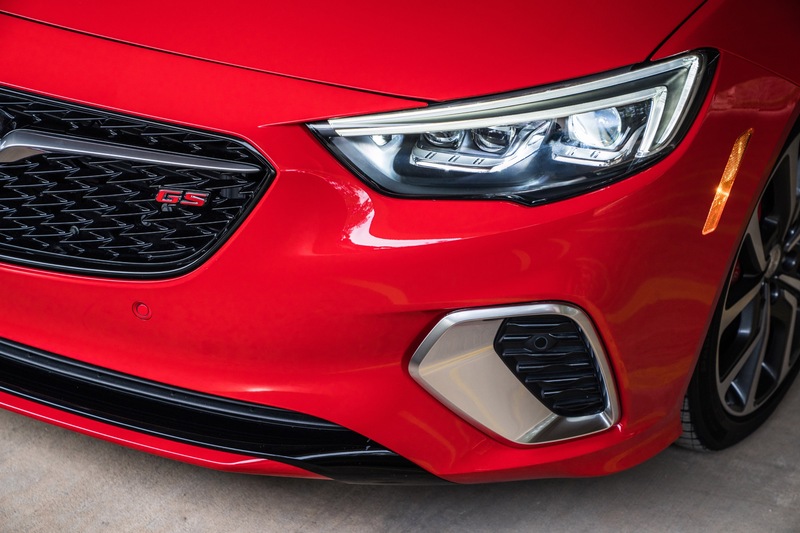 The facility is owned and operated by PSA Groupe since GM sold Opel to PSA in 2017. 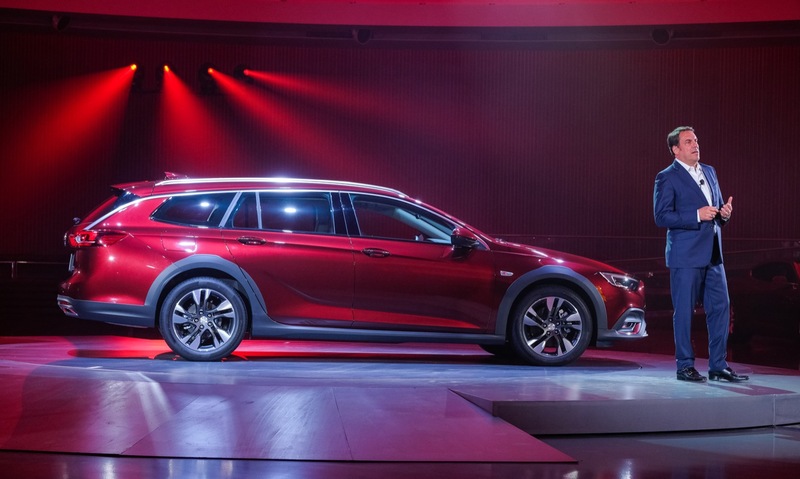 Buick revealed the all-new Regal in April 2017 at the New York Auto Show and the vehicles launched for the 2018 model year. 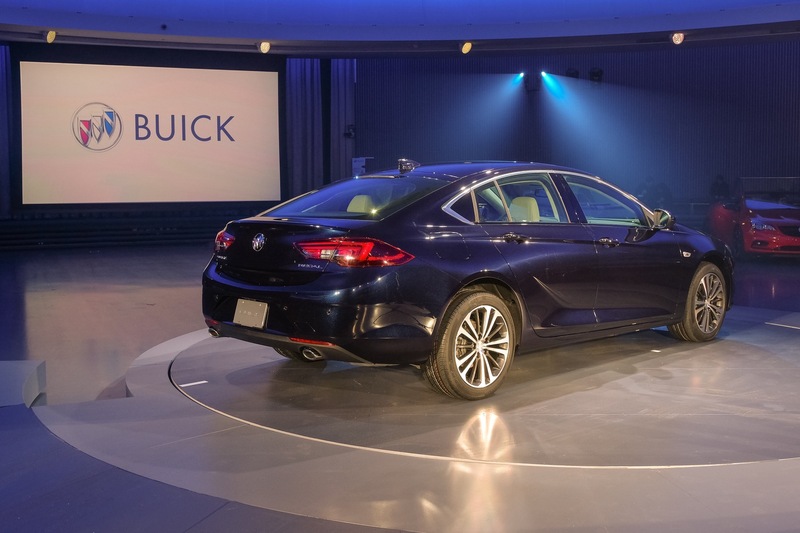 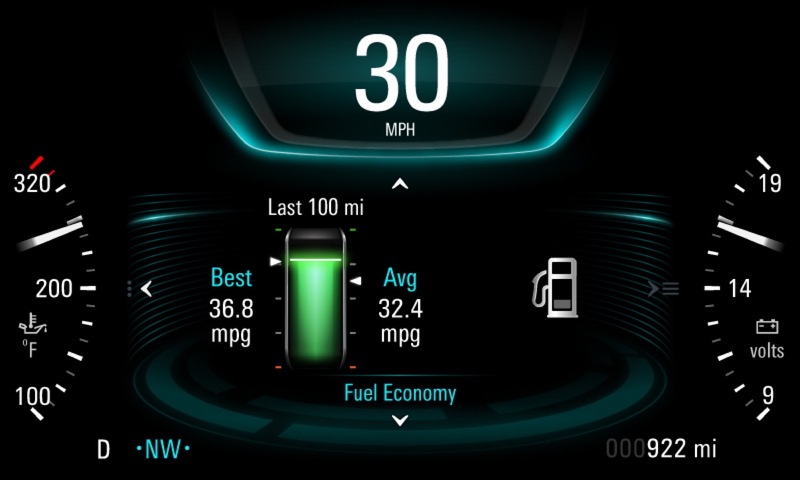 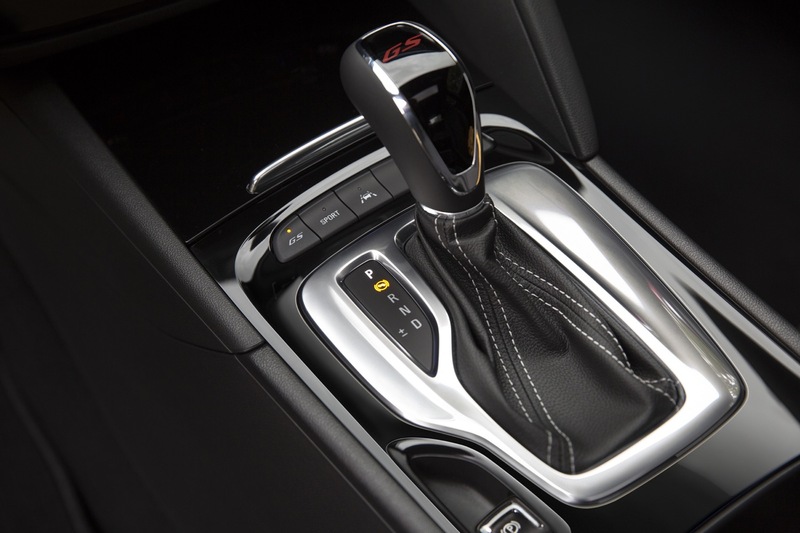 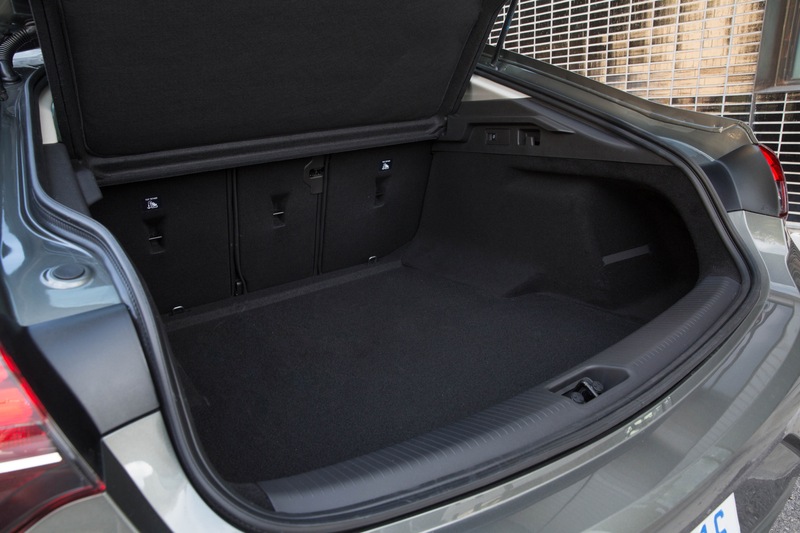 The sixth-gen model is based on the GM E2 platform, which also underpins the 2016 and newer Chevrolet Malibu and upcoming Cadillac XT4. 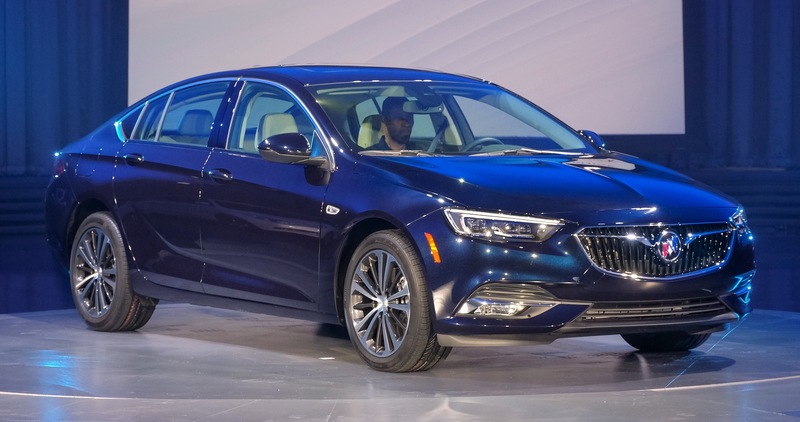 The Regal is also sold as the second-generation Opel-Vauxhall Insignia and the NG 2018 Holden Commodore in Australia and New Zealand by GM subsidiary Holden. 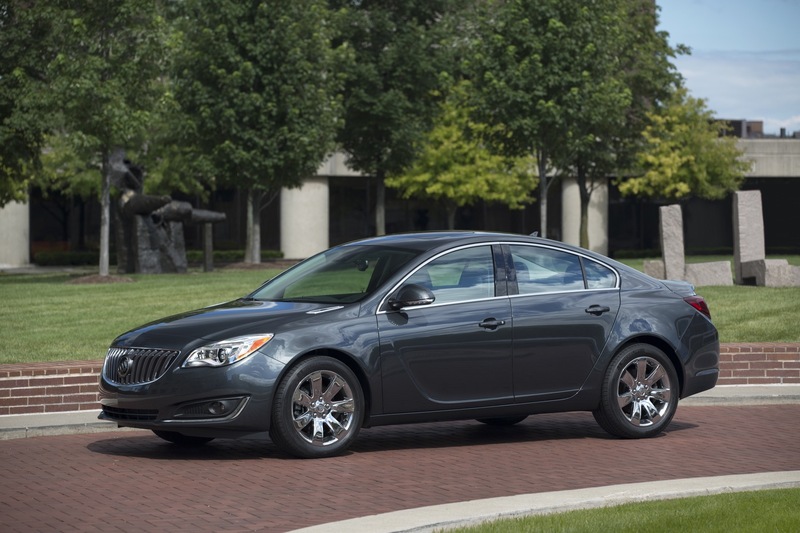 Prior to the launch of the sixth-gen model, the fifth-generation Regal was available for a total of seven model years, from 2011 thru 2017. 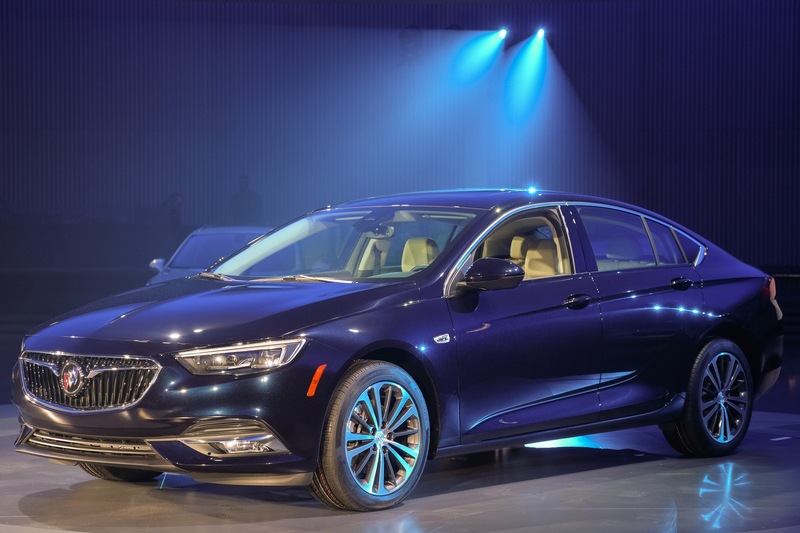 That model rode on the GM Epsilon II platform also shared with the first-gen Opel-Vauxhall Insignia and eighth-generation Malibu. 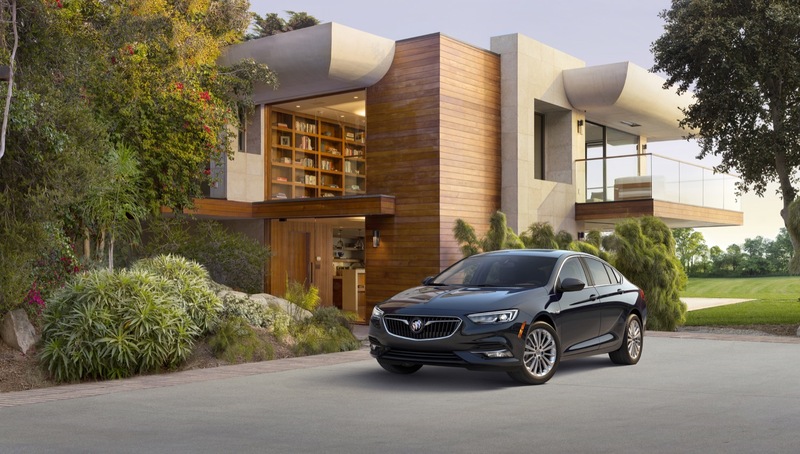 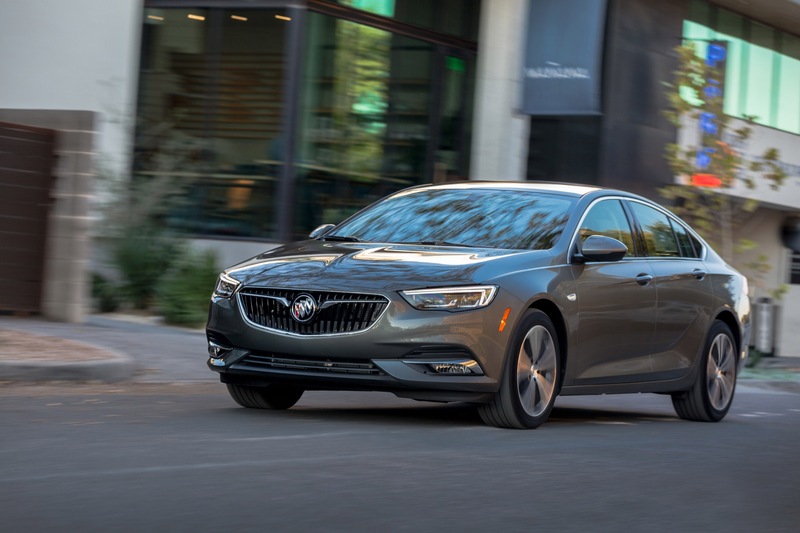 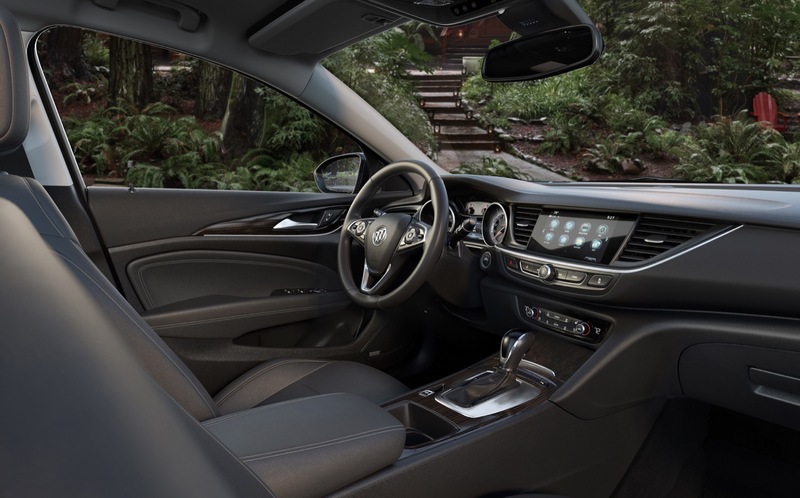 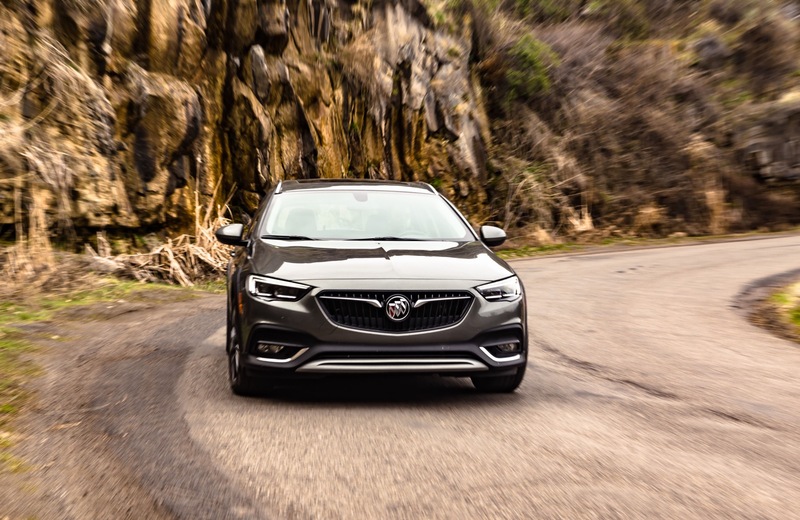 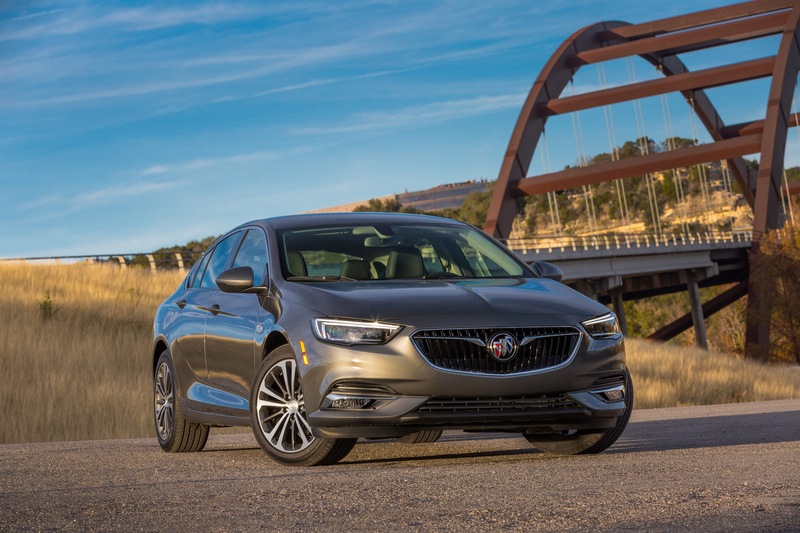 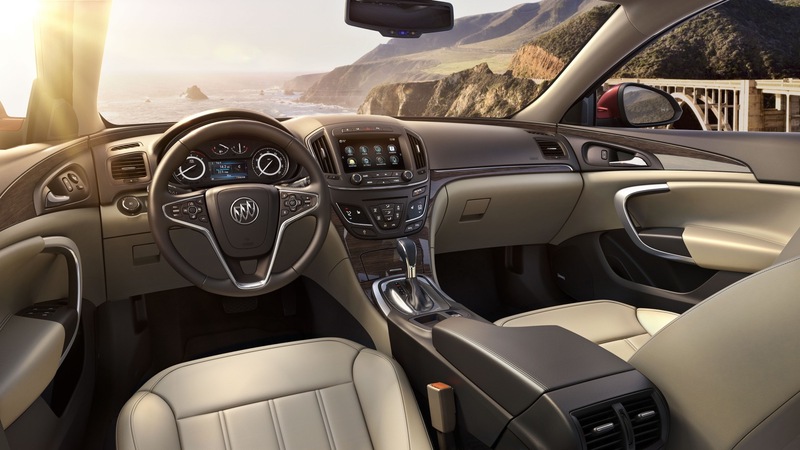 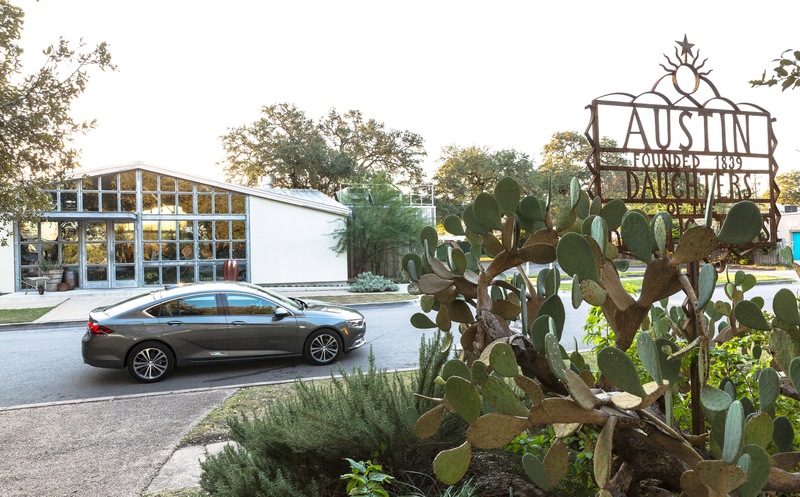 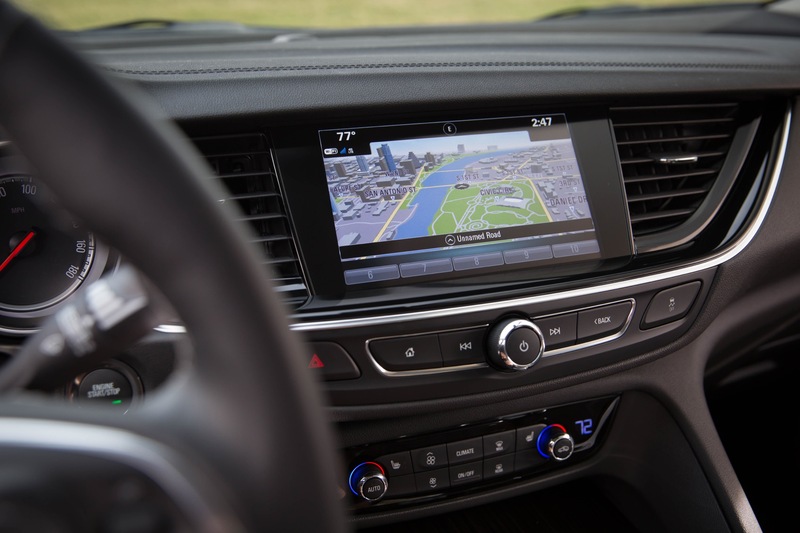 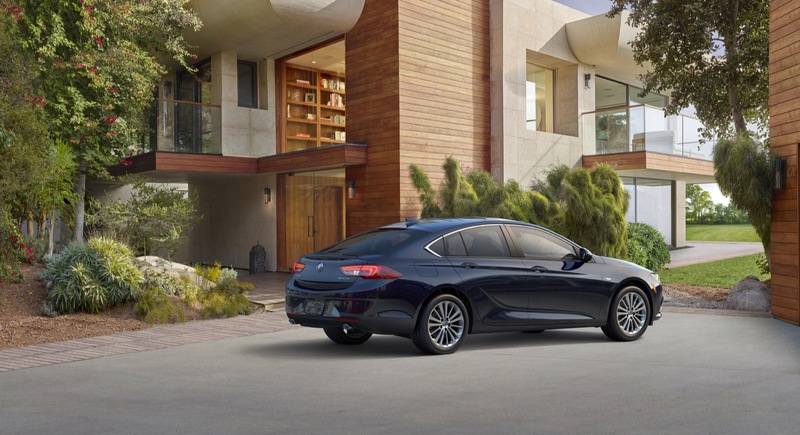 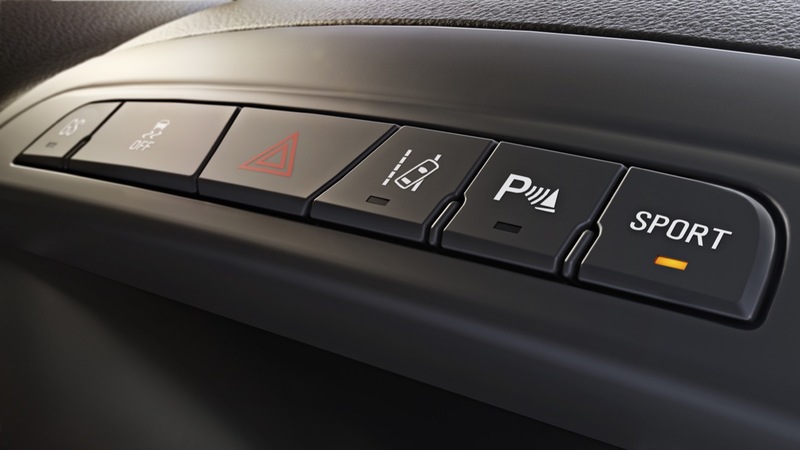 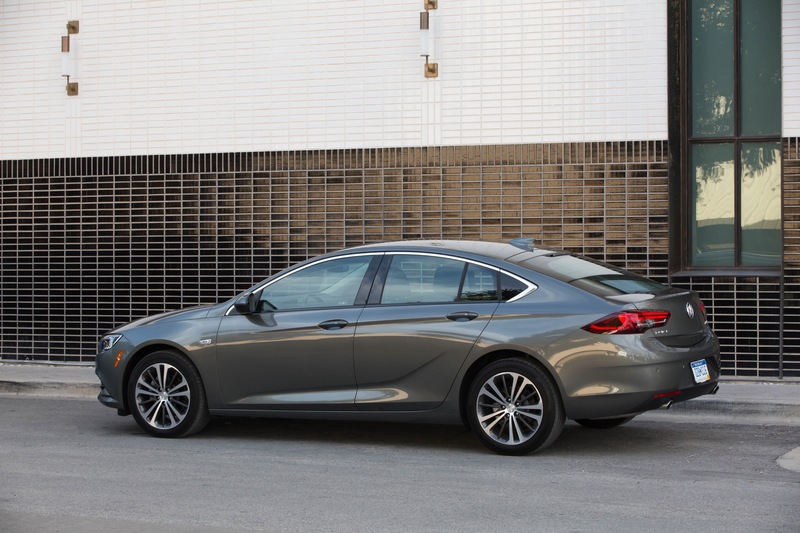 For the 2019 model year, the Buick Regal family gets a new Avenir trim level, along with Whisper Beige seats with Ebony interior accents for the Regal Sportback as well as a new cabin air ionizer for the Sportback and TourX models. 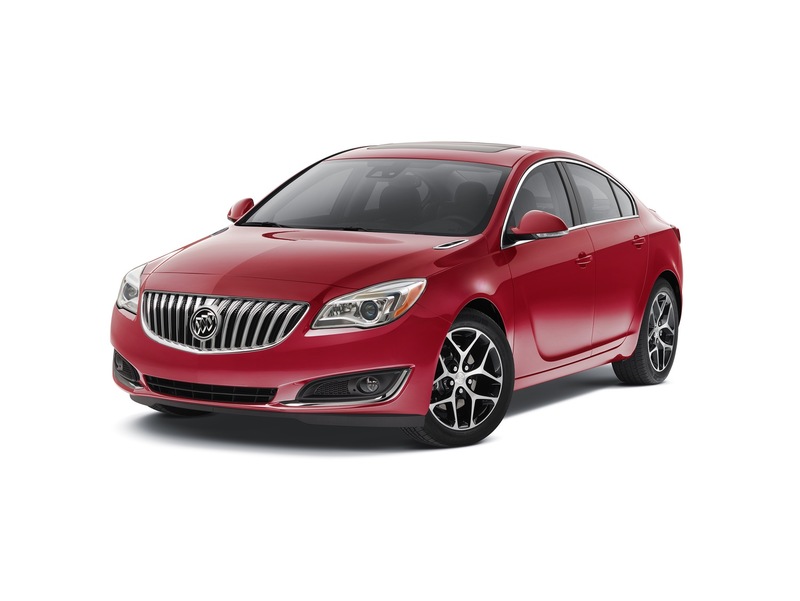 I love Regal. 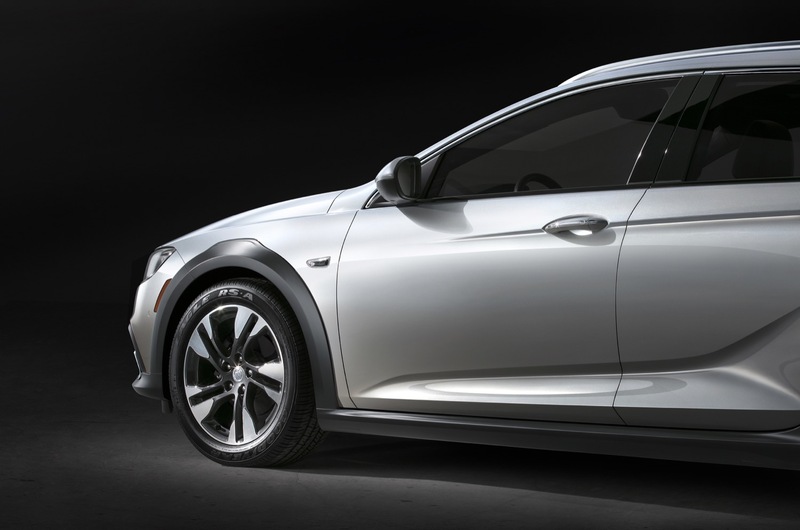 Opel and Mark Adam’s do great design–TourX is beautiful – – & sport back is smart. 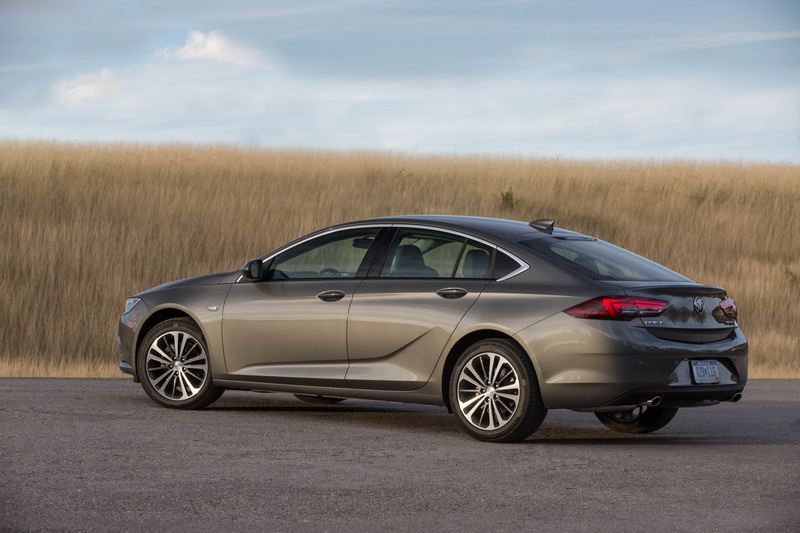 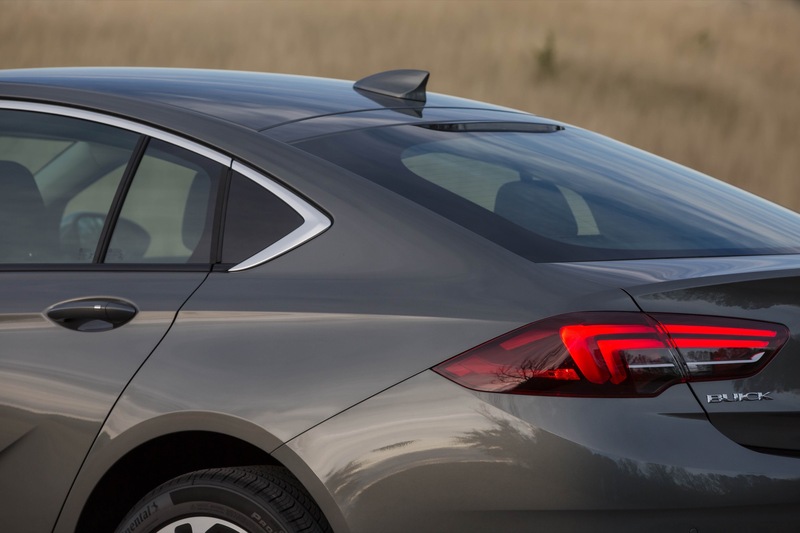 Buick will suffer with the loss of Opel both in design and low volume variety. 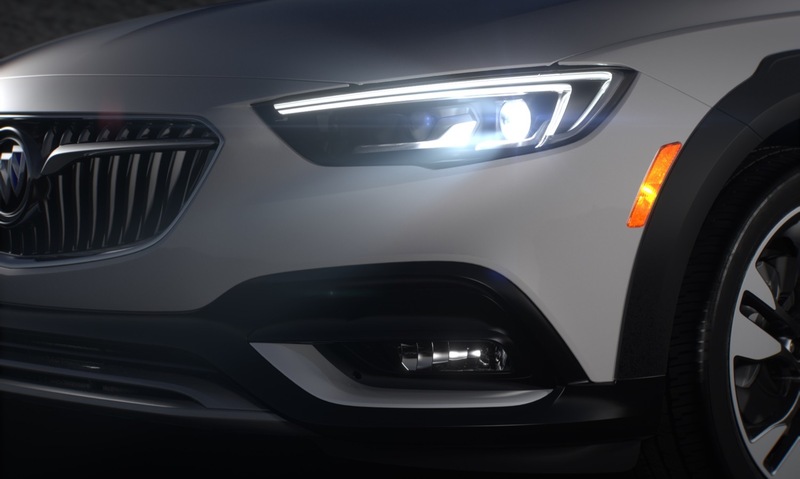 Hopefully GM signed a deal allowing GM to keep design cues without legal issues with PSA such as the signature eyebrow headlamps. 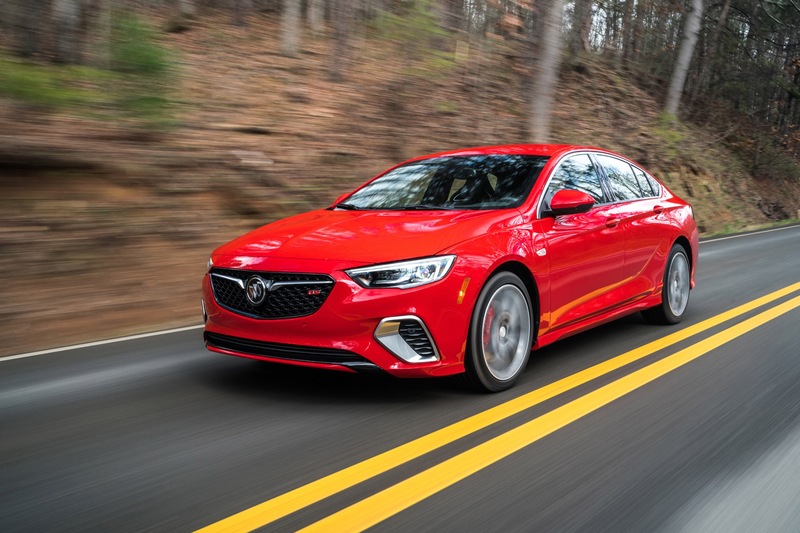 No GM lost everything during the sale. 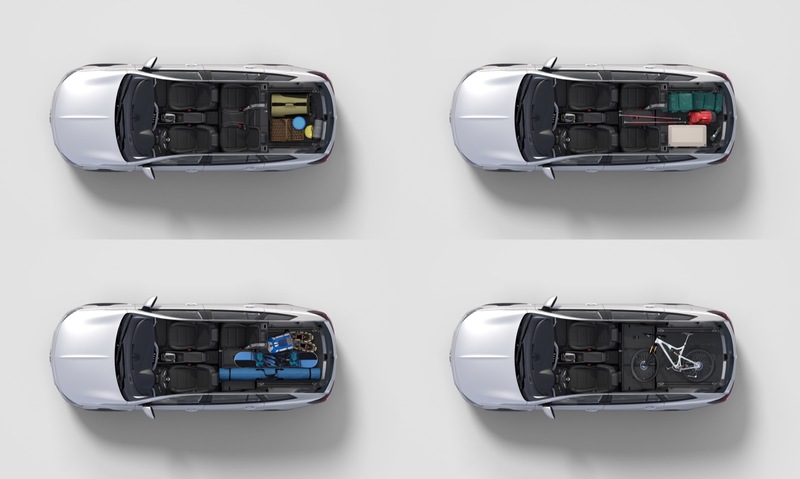 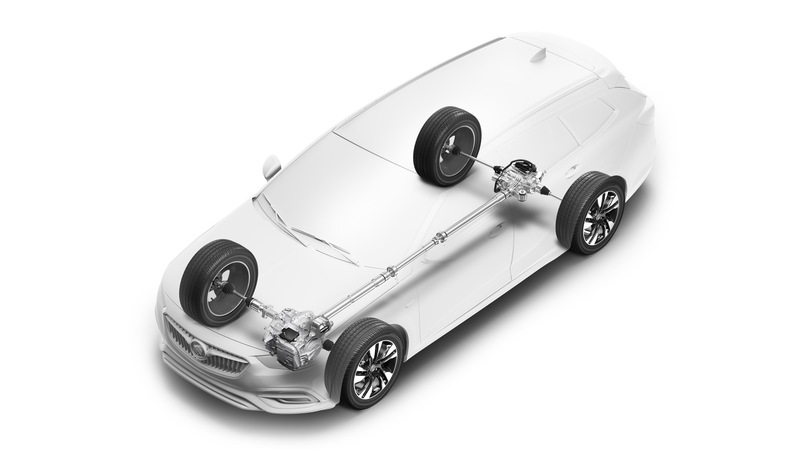 That is why its quickly moving its vehicles on to PSA platforms so it wont have to pay for Opel intellectual rights. 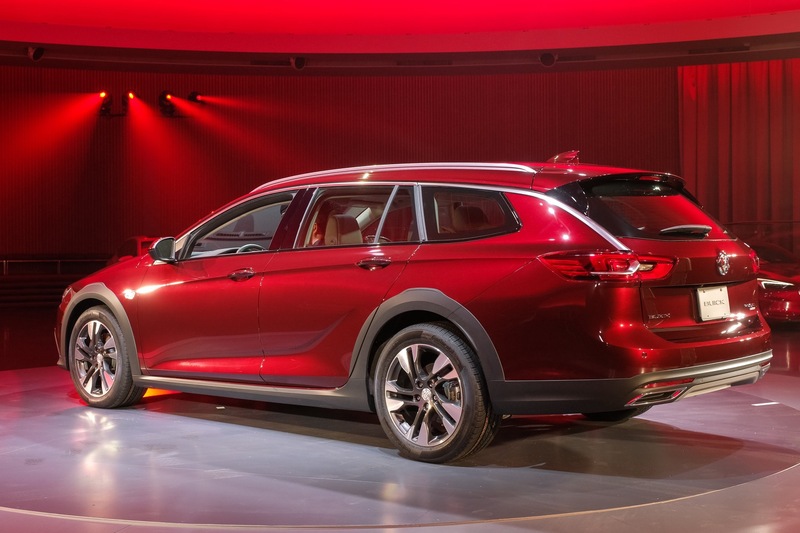 PSA also wants to quickly accomplish scale with its platforms and position Opel as its main export brand. 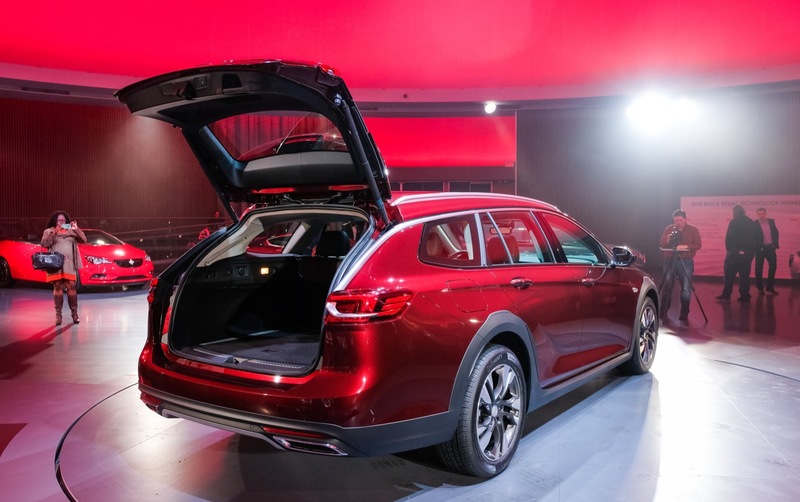 While no official announcement has been made German cars are more highly regarded than French and PSA must do something to increase Chinese sales. 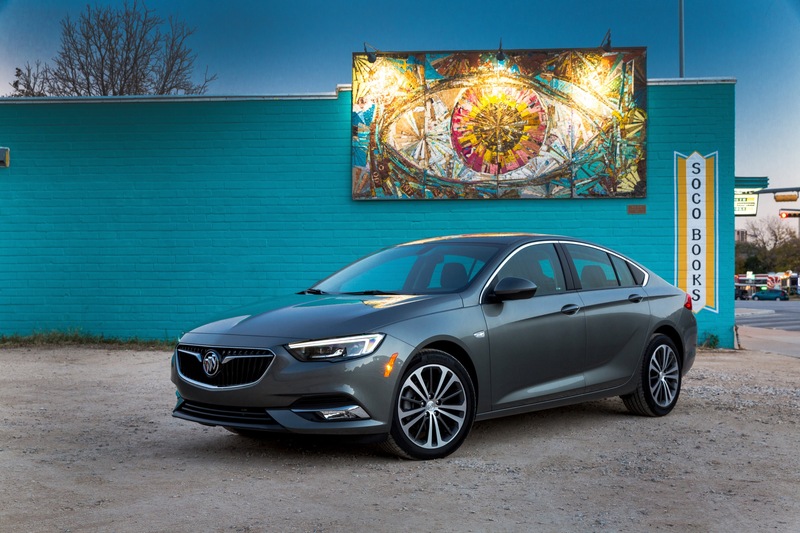 Most people don’t do research and will perceive Opel to be as German as Beck bombers. 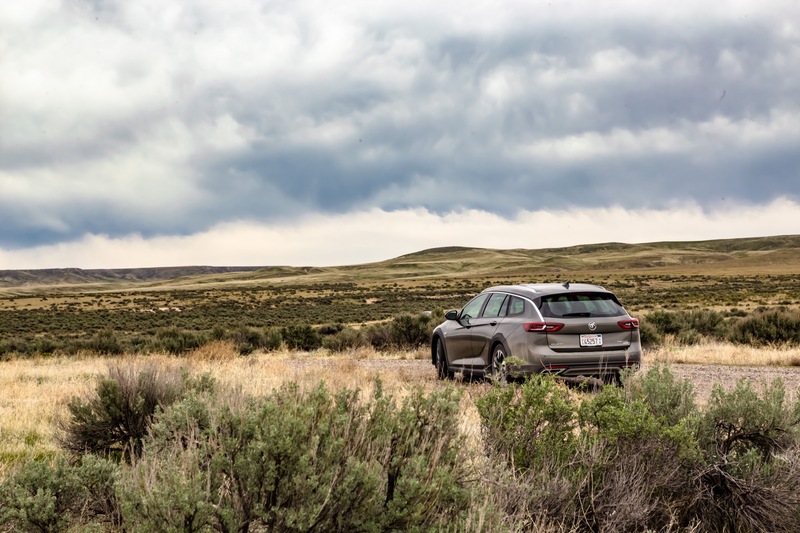 Nice car but no one cares. 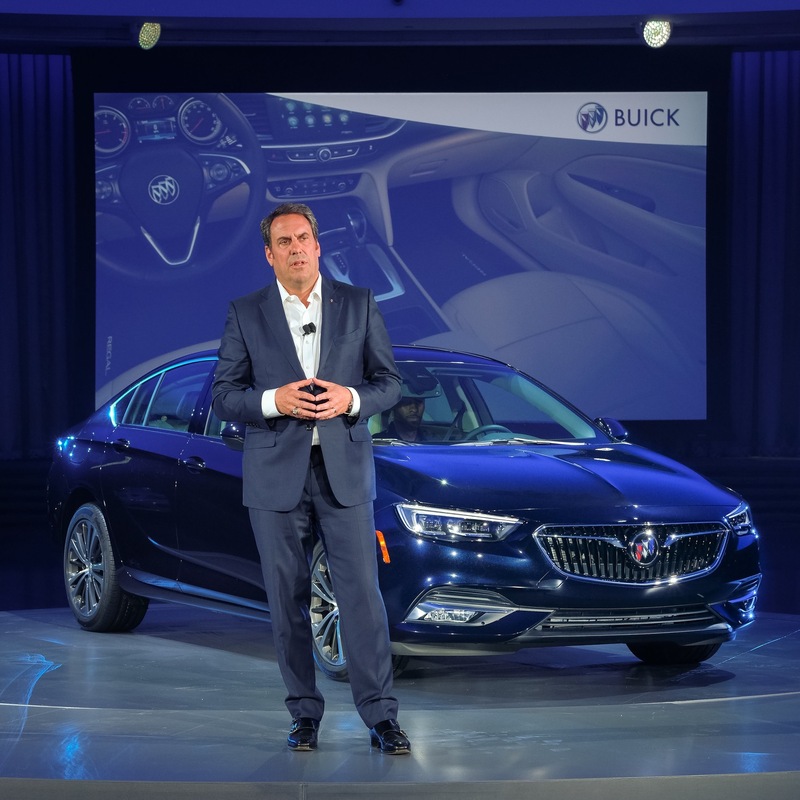 Buick is on track to sell 12k to 15k units. 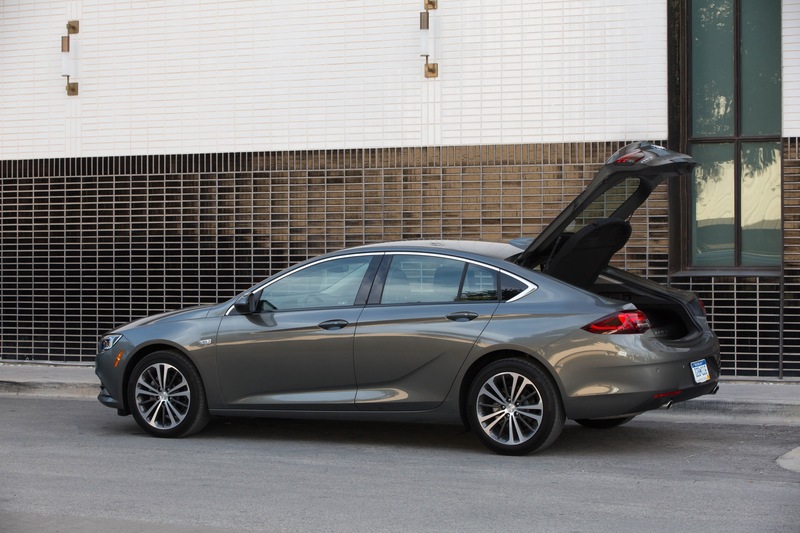 Anyone remember when GM would move 500k Cutlasses or even more Impala Caprice models. 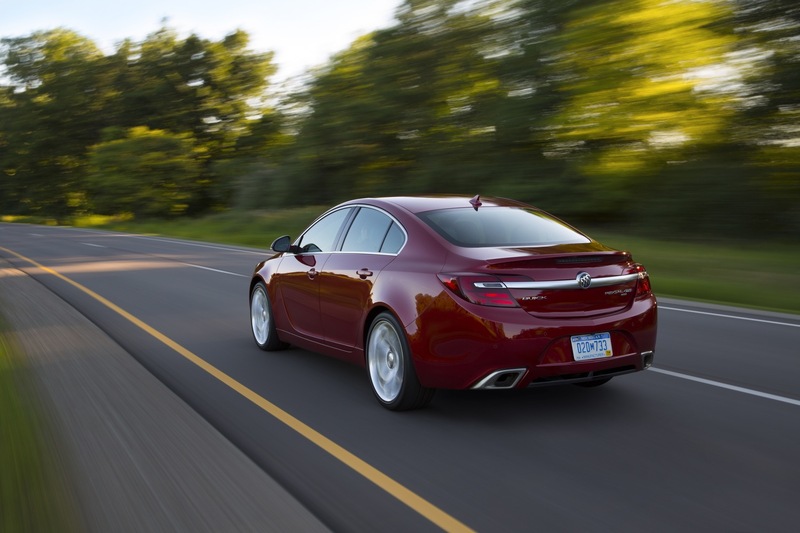 Today a MFGs need to move 100 k units if not the income needs to be made up on higher price. 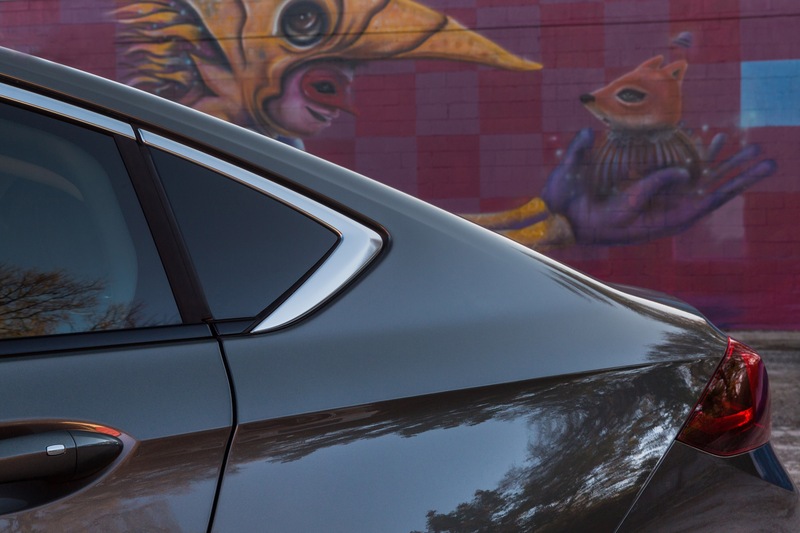 Yes and when they moved that many cars they actively marketed and advertised them. 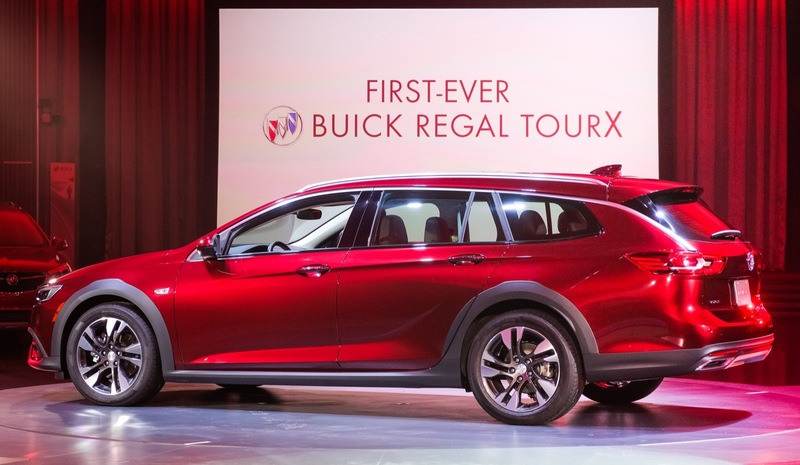 How many times and for how many vehicles have we heard the same thing from GM’s customer base? 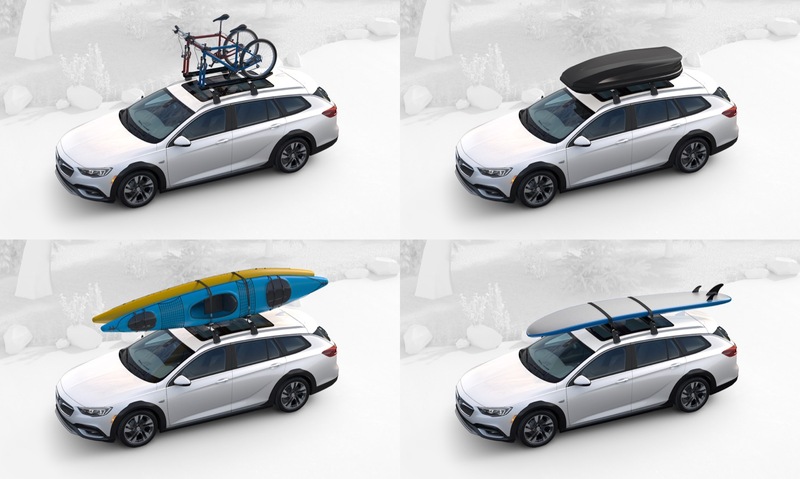 Well they are basically giving them away right now. 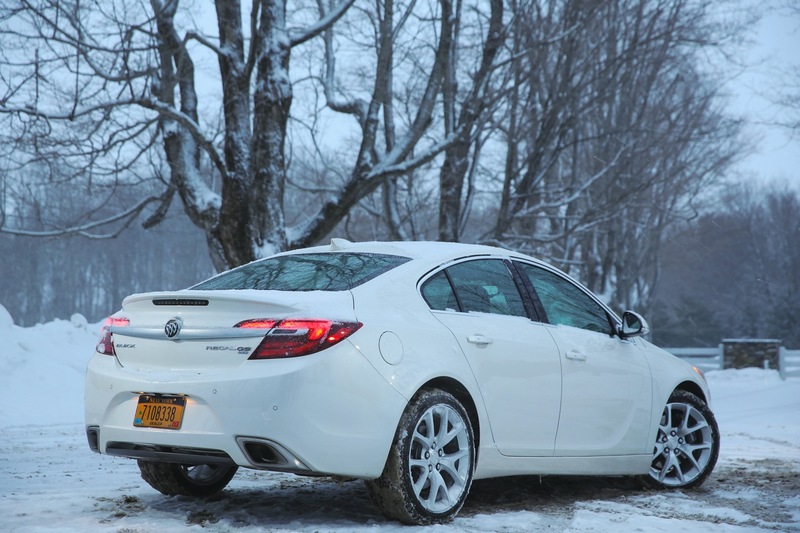 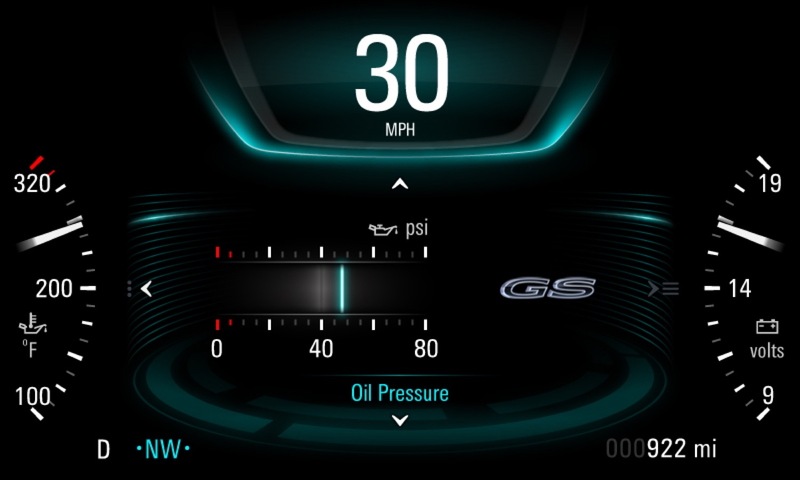 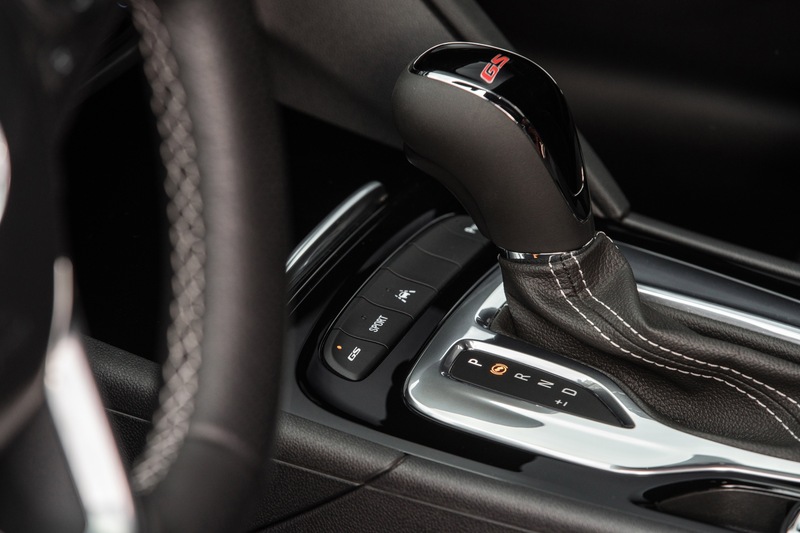 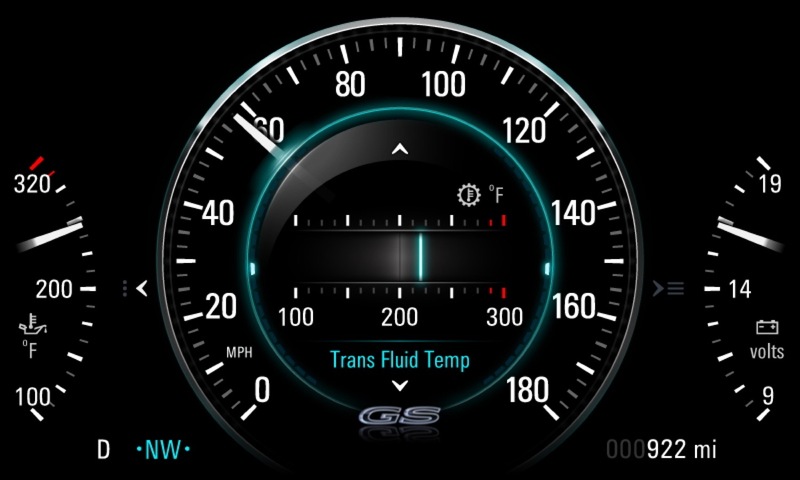 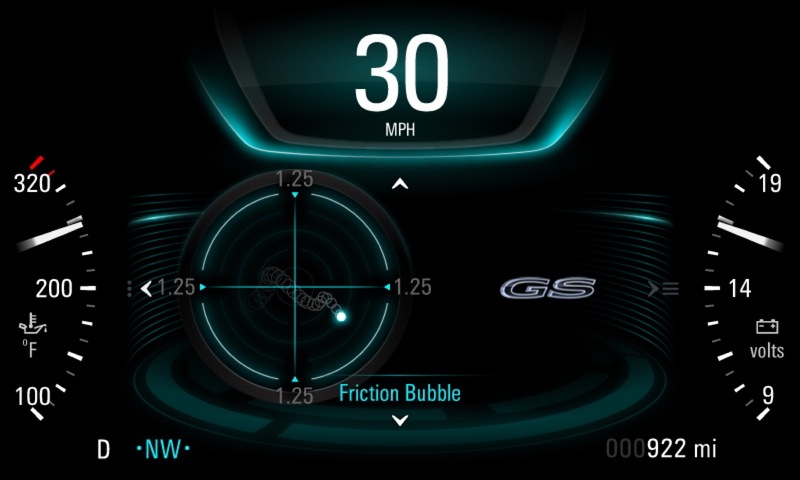 Too bad it doesn’t have Paddle Shifters like the Opel version does on the base car let alone on the Sporty GS model.